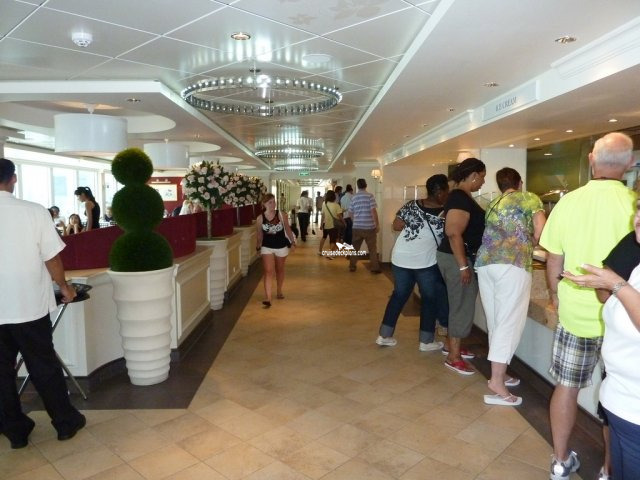 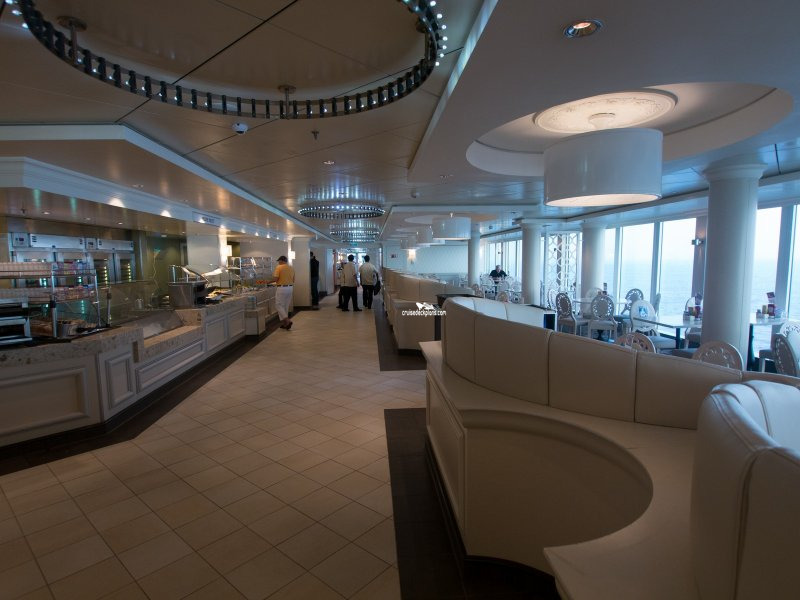 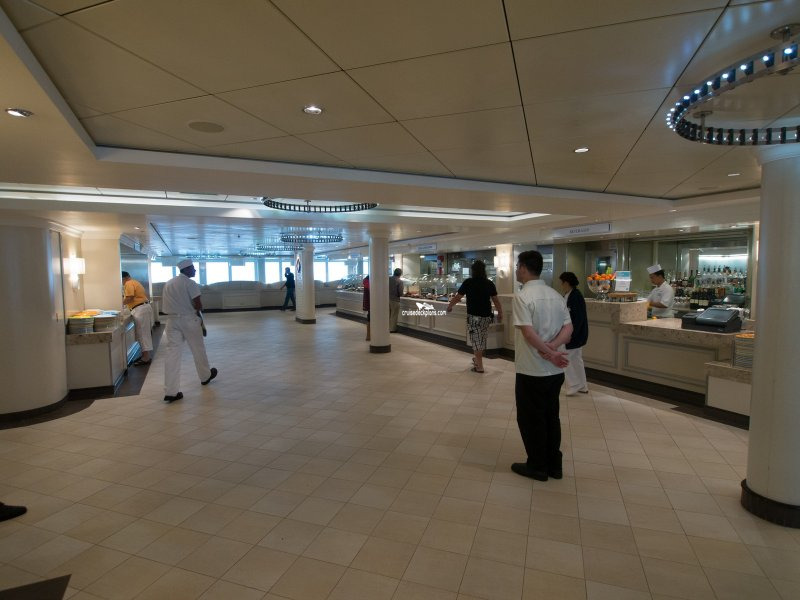 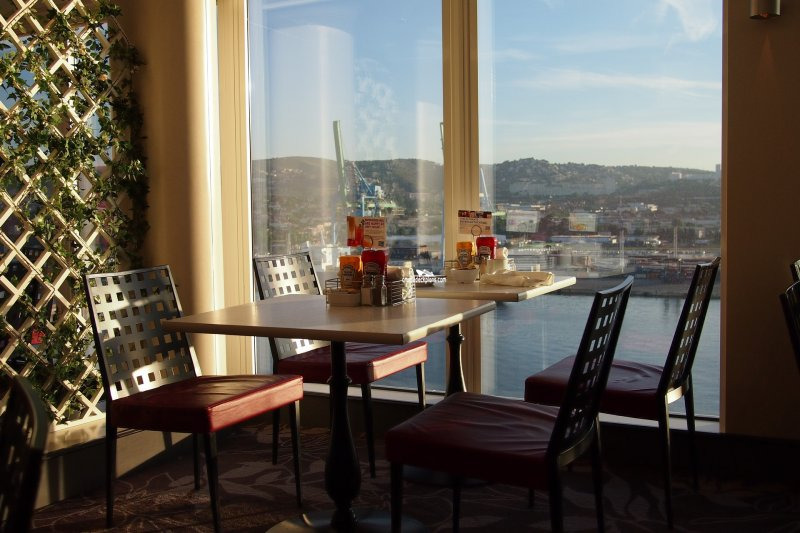 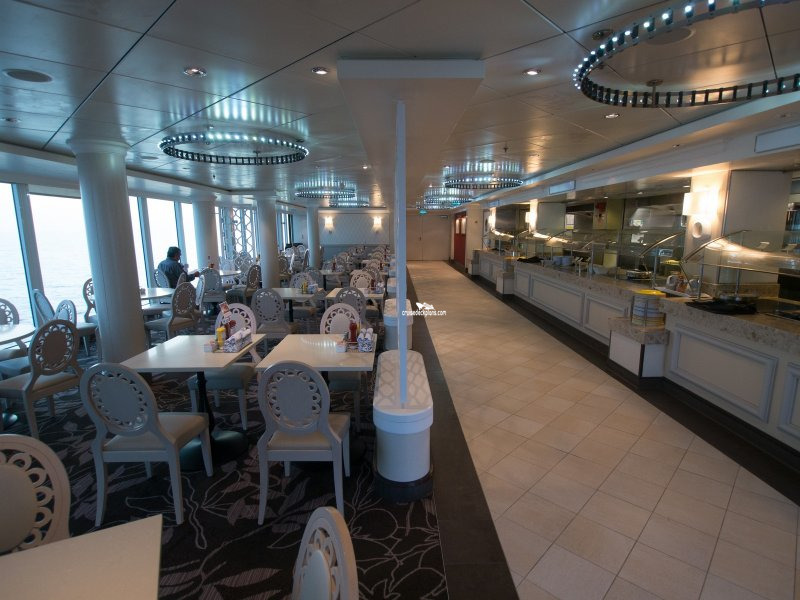 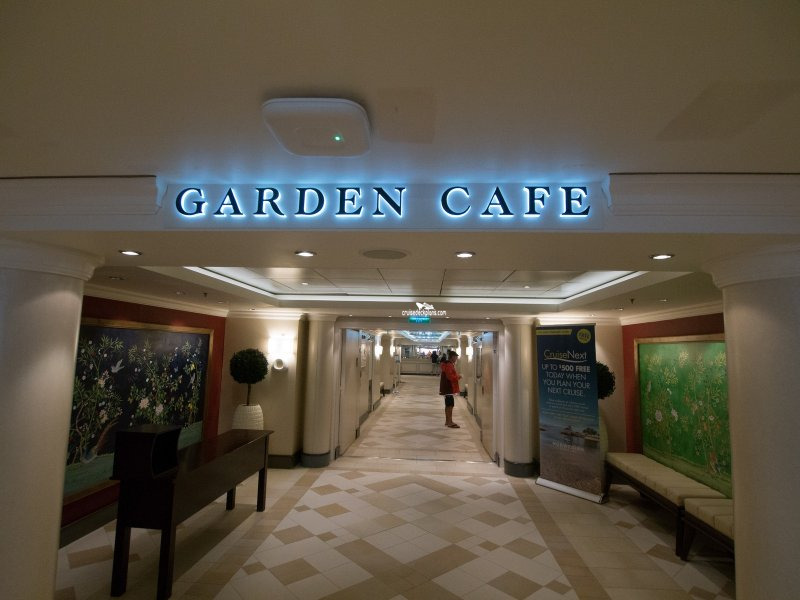 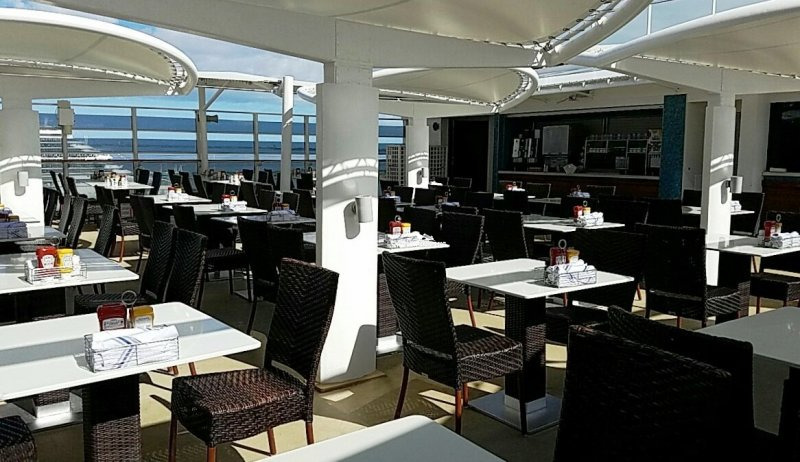 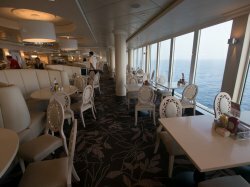 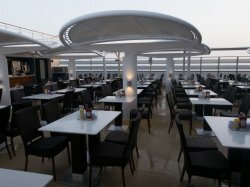 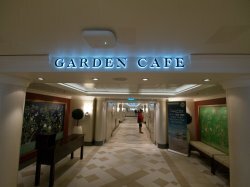 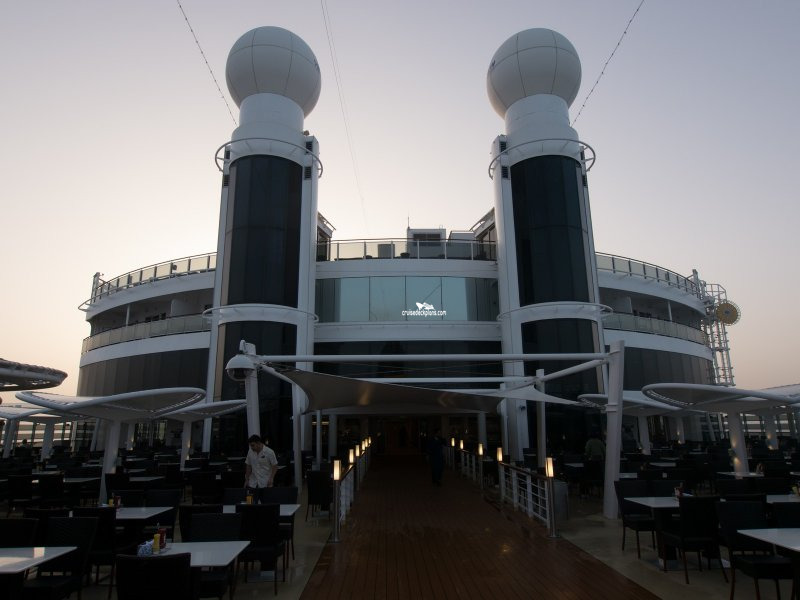 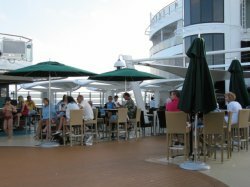 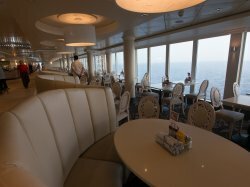 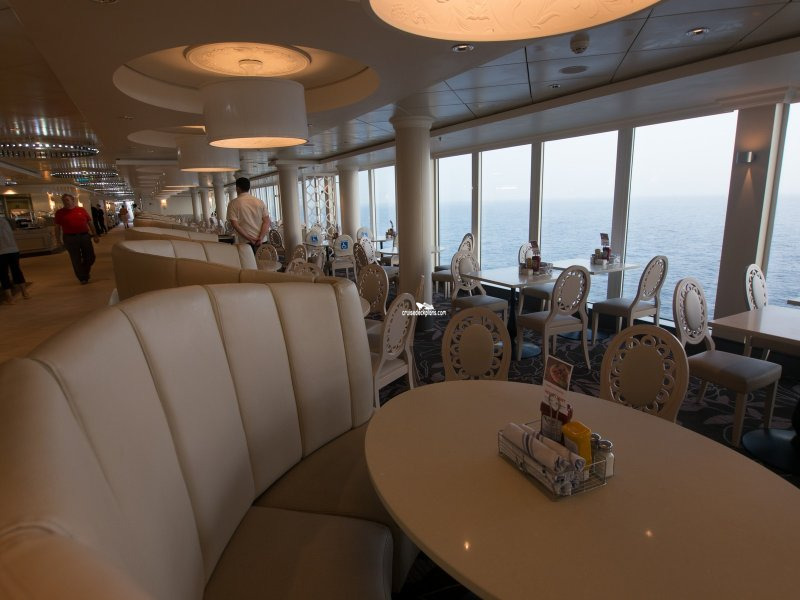 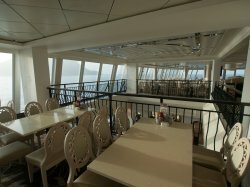 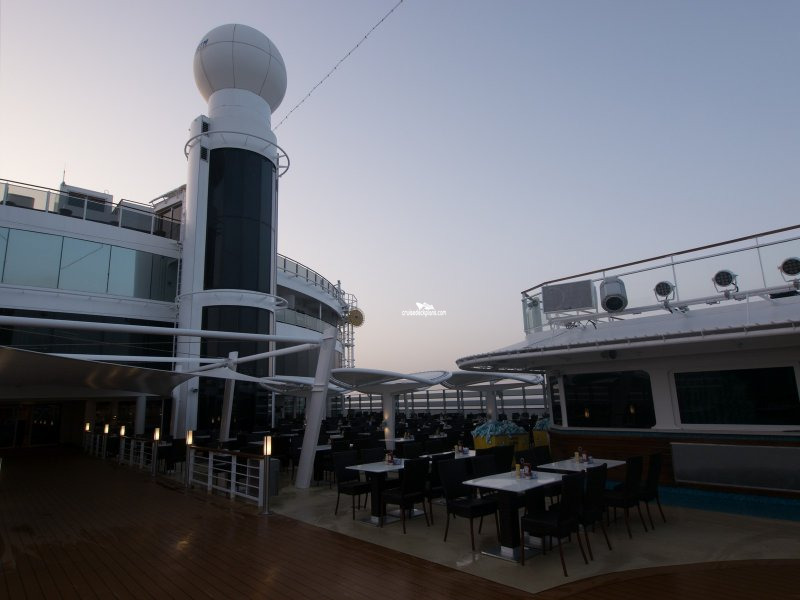 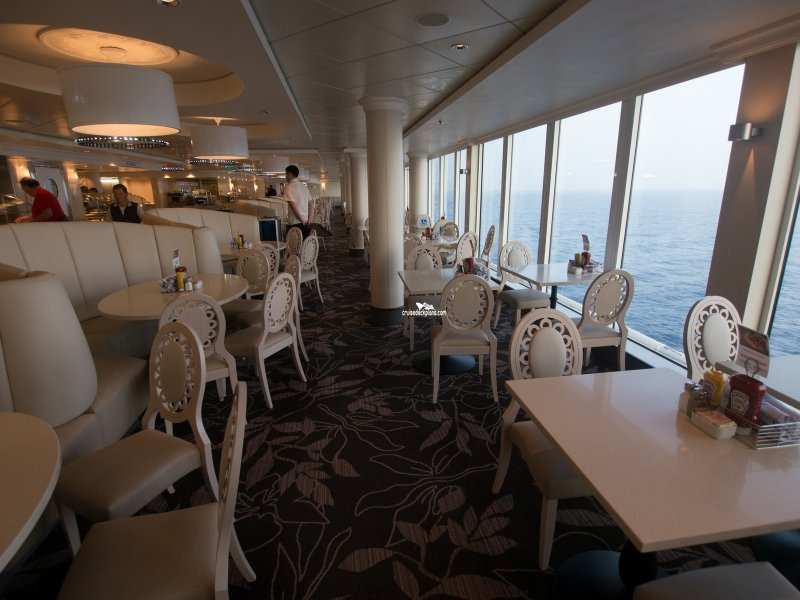 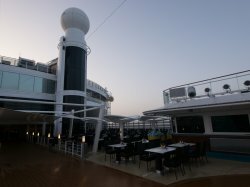 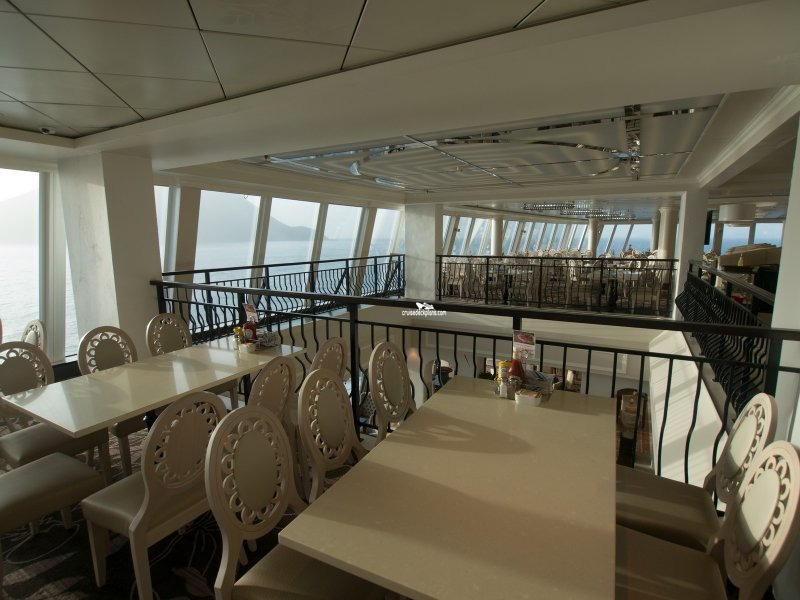 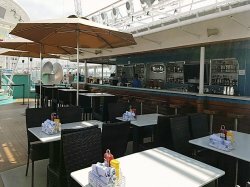 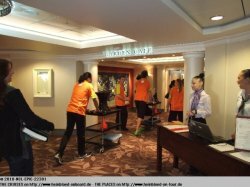 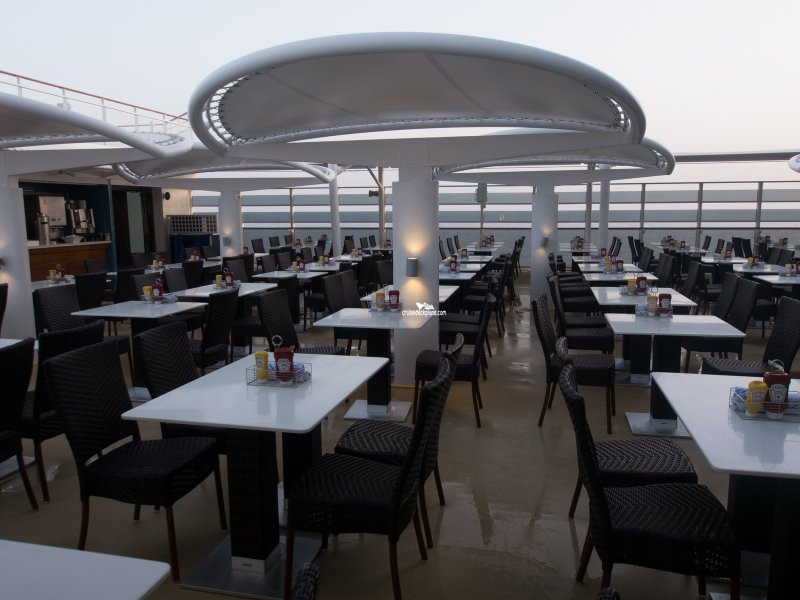 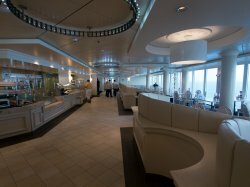 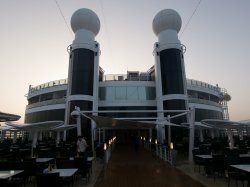 Opens from 6.30am to 10.30am for breakfast, 11.30am to 3.00pm for lunch and 5.30pm to 9.30pm for dinner and is the ship's casual buffet restaurant seating 680 guests. 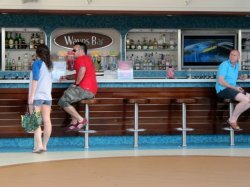 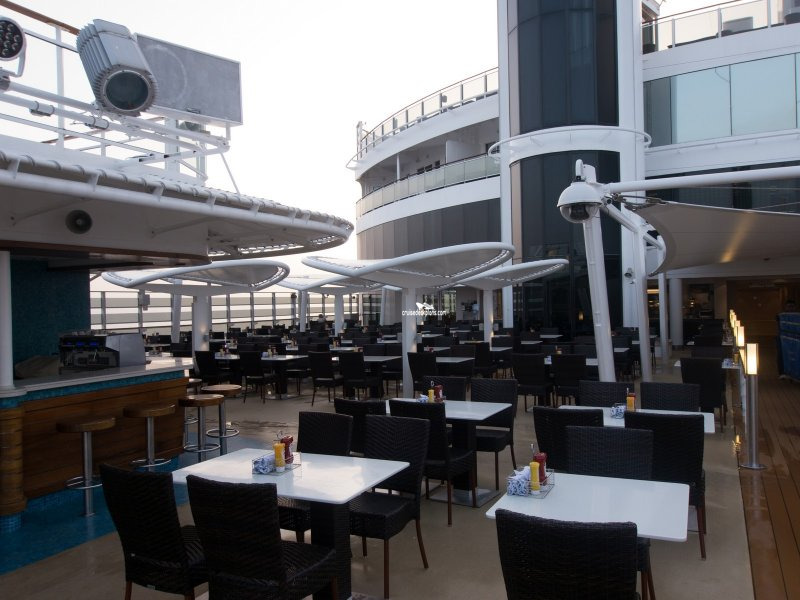 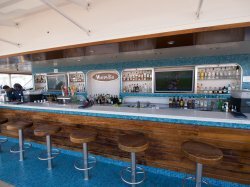 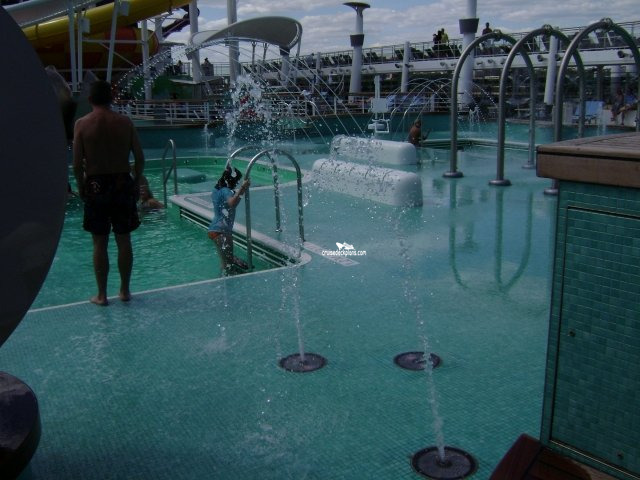 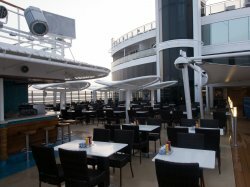 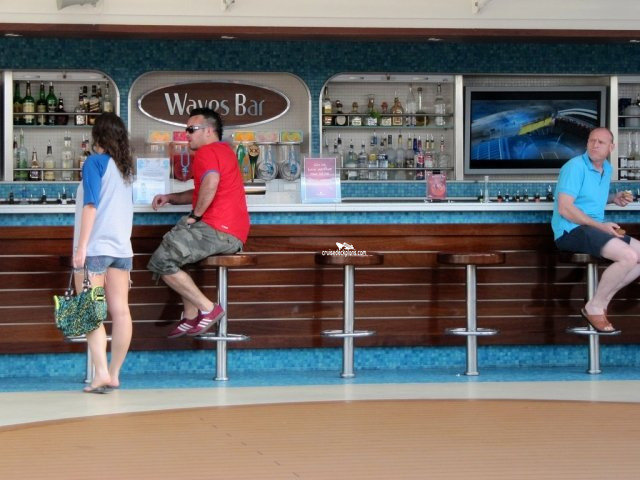 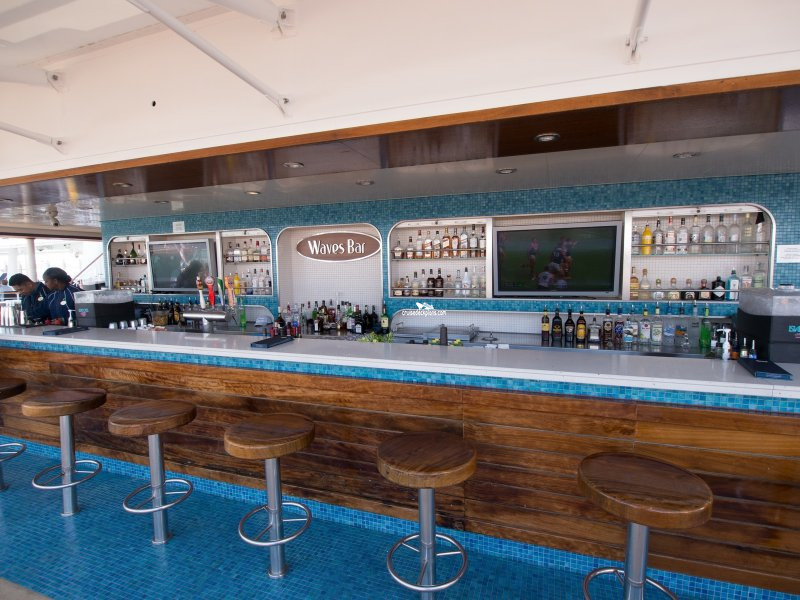 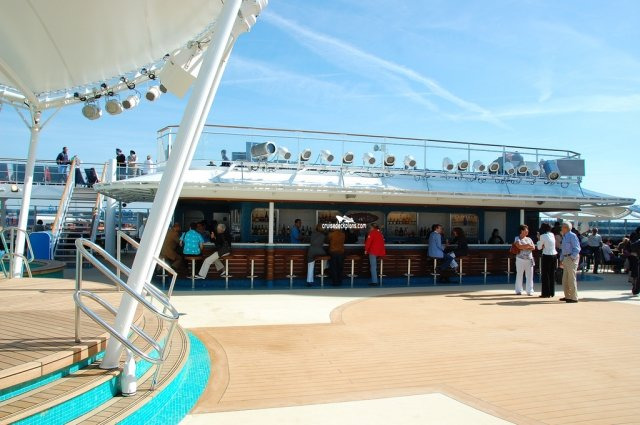 Serves the Aqua Park and sundeck area with seating for 24 around the bar. 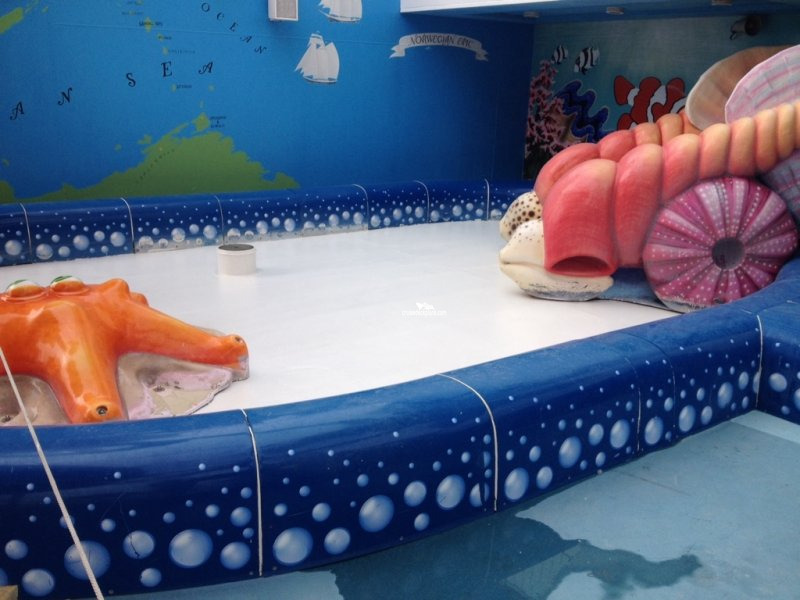 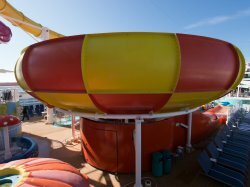 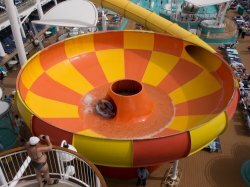 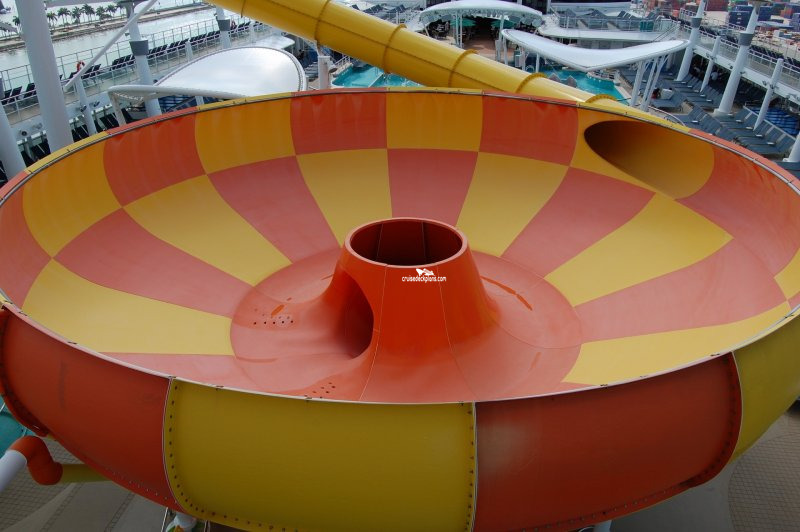 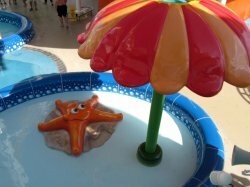 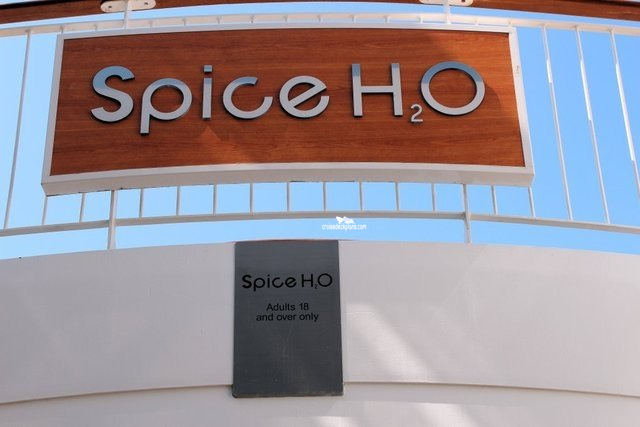 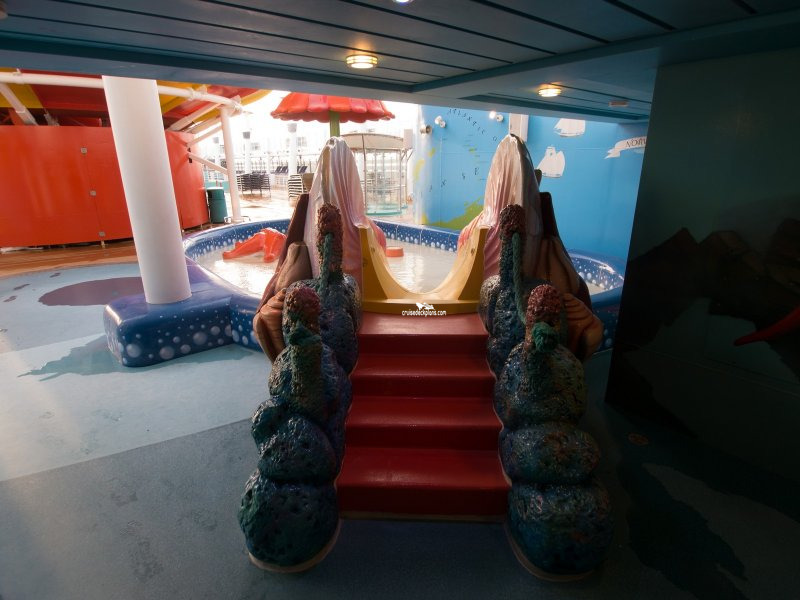 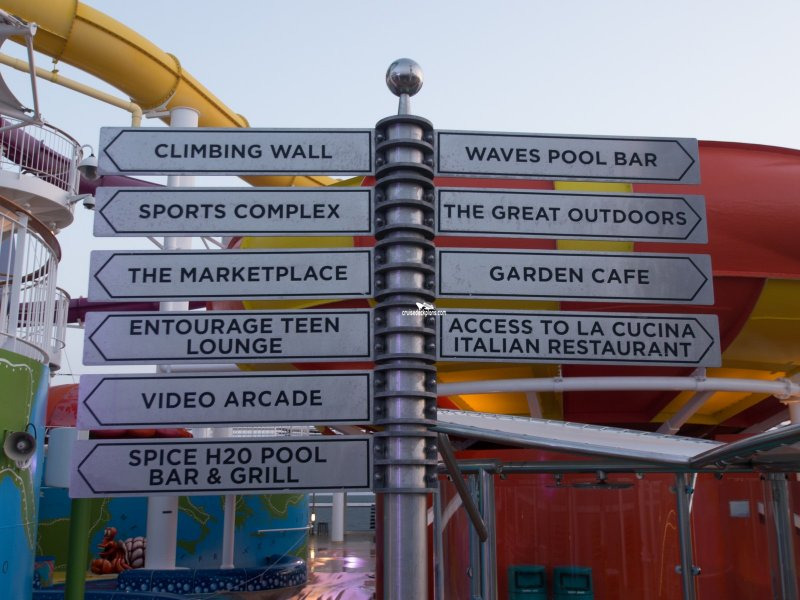 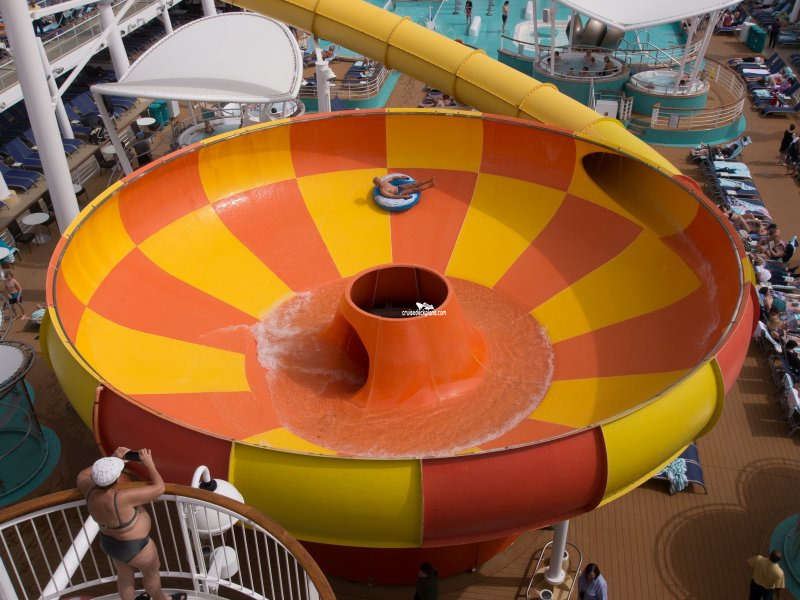 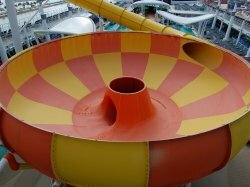 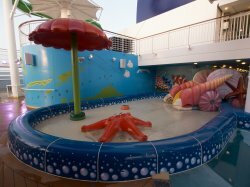 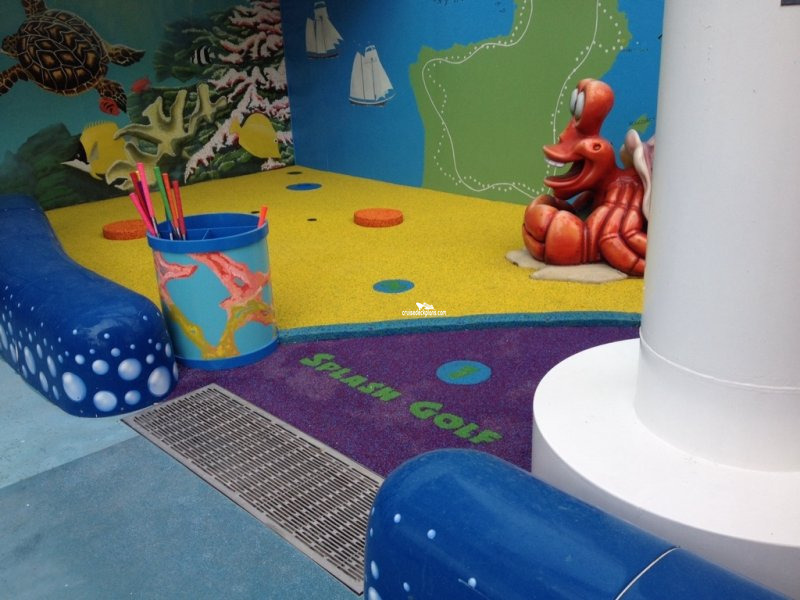 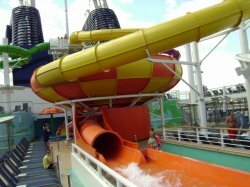 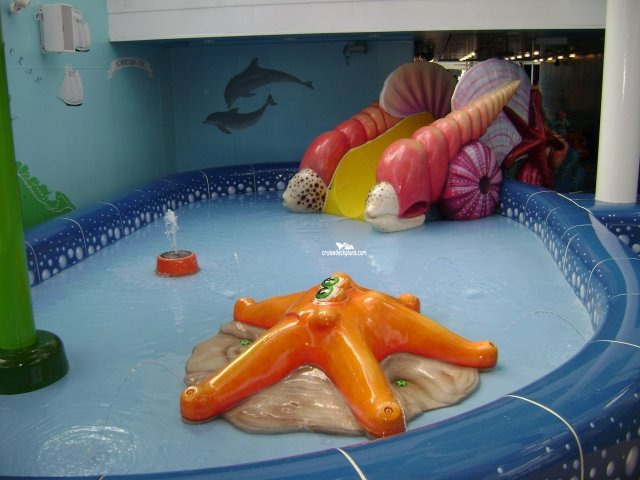 Opens from 8am to 7pm and is a splash pool with fun features such as a giant starfish; giant toadstool water feature and turtle water fountains. 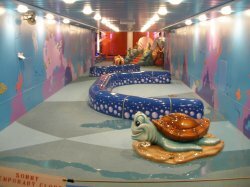 It is also partially covered and has its own shell decorated mini slide. 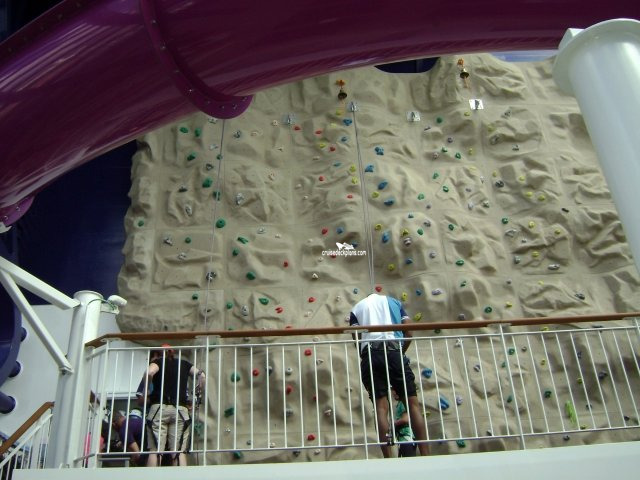 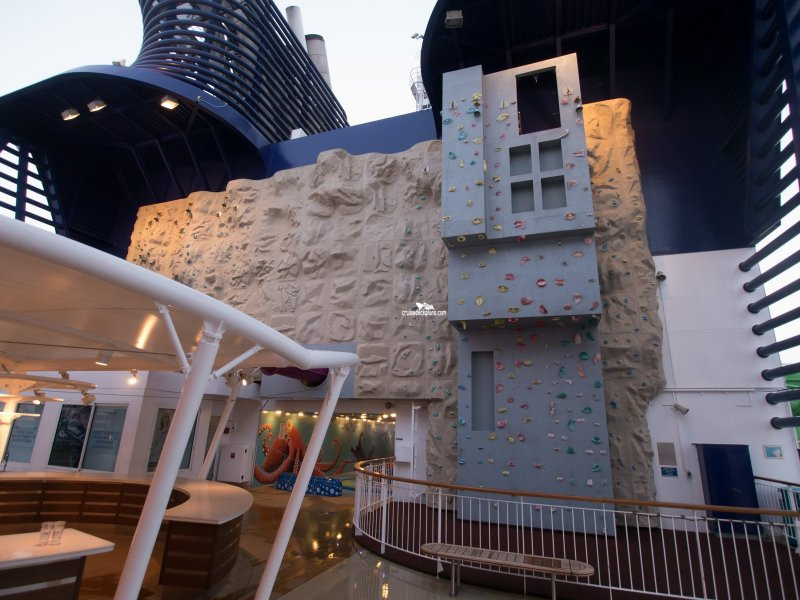 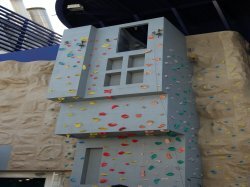 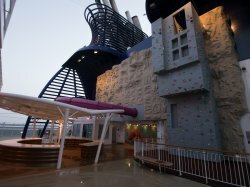 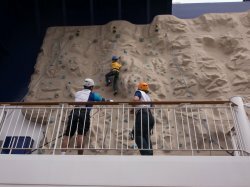 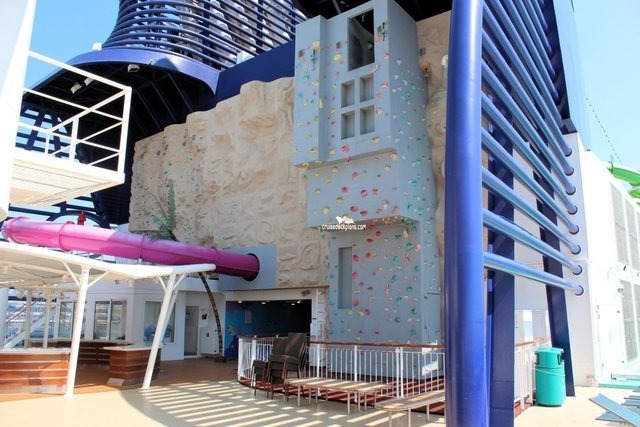 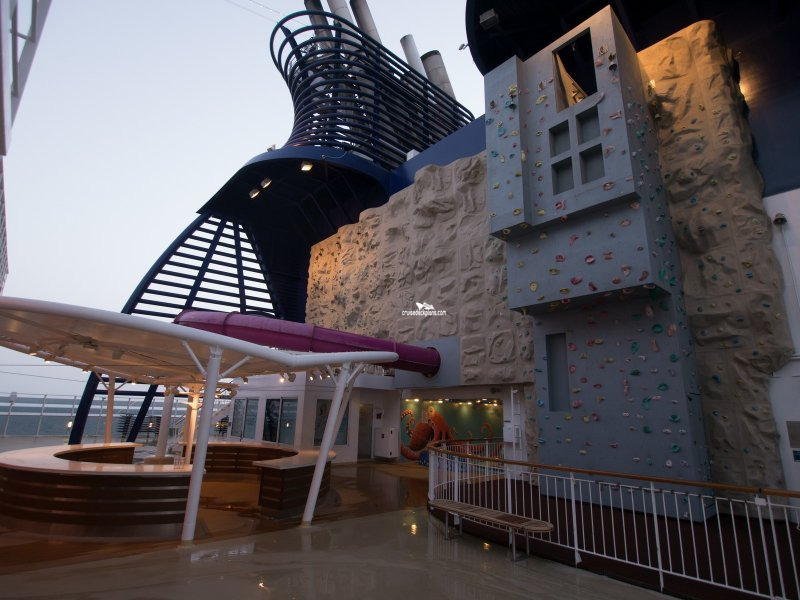 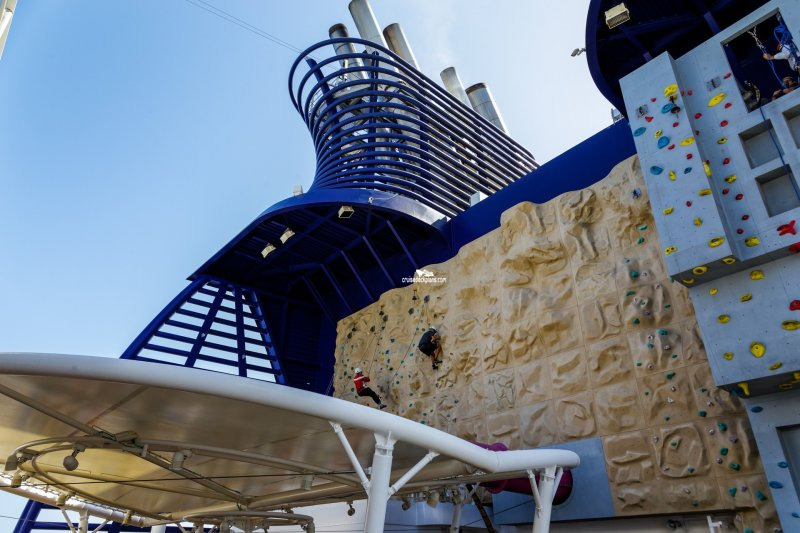 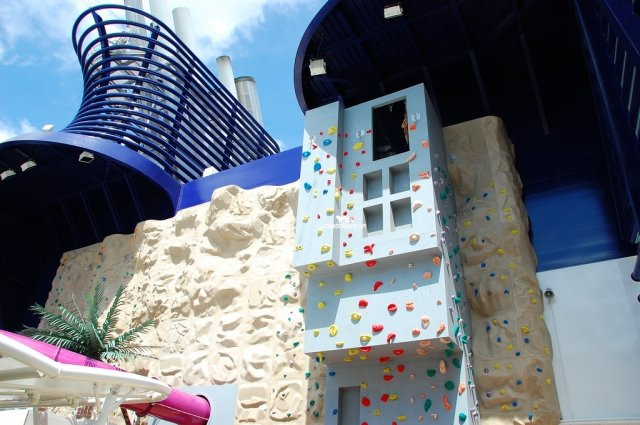 37 foot high and 64 foot wide rock climbing and rappelling (abseiling) wall. 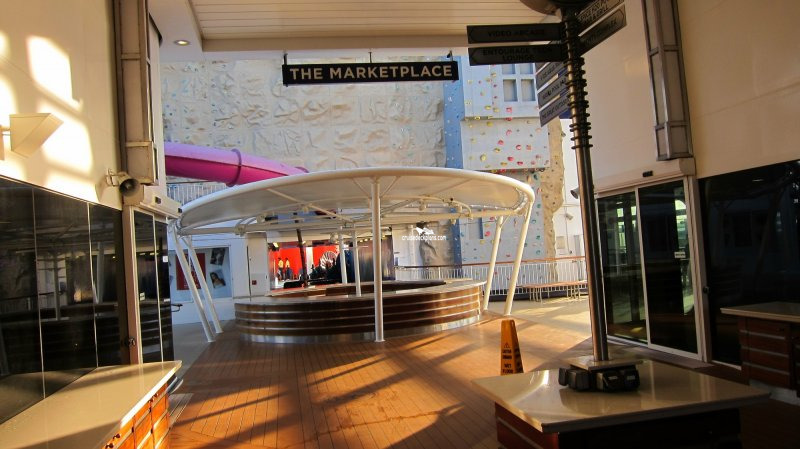 An outdoor shopping area where each day stalls are brought out with Epic and Nickelodeon™ attire. 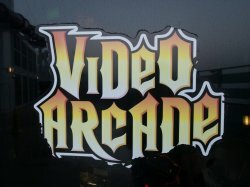 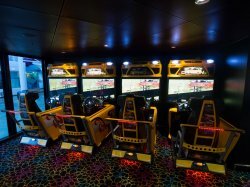 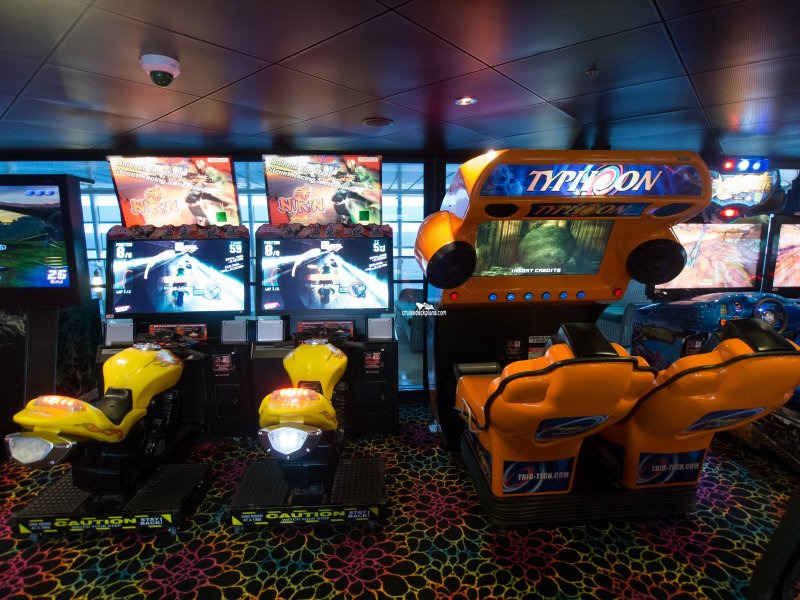 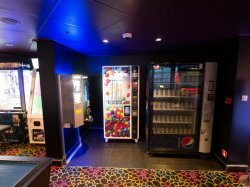 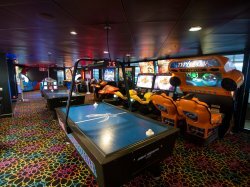 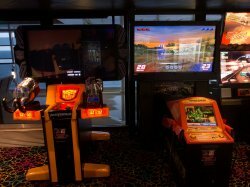 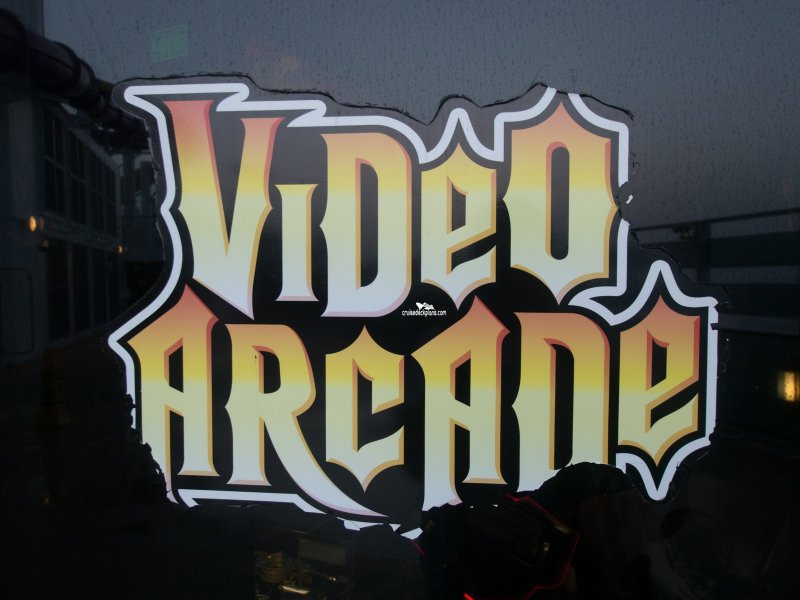 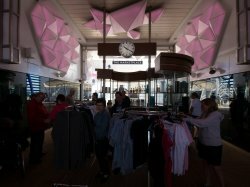 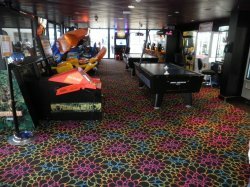 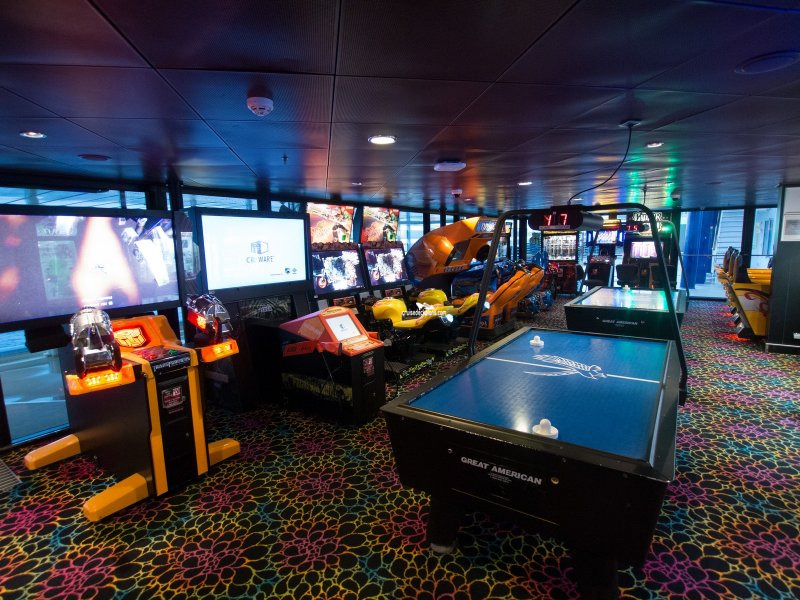 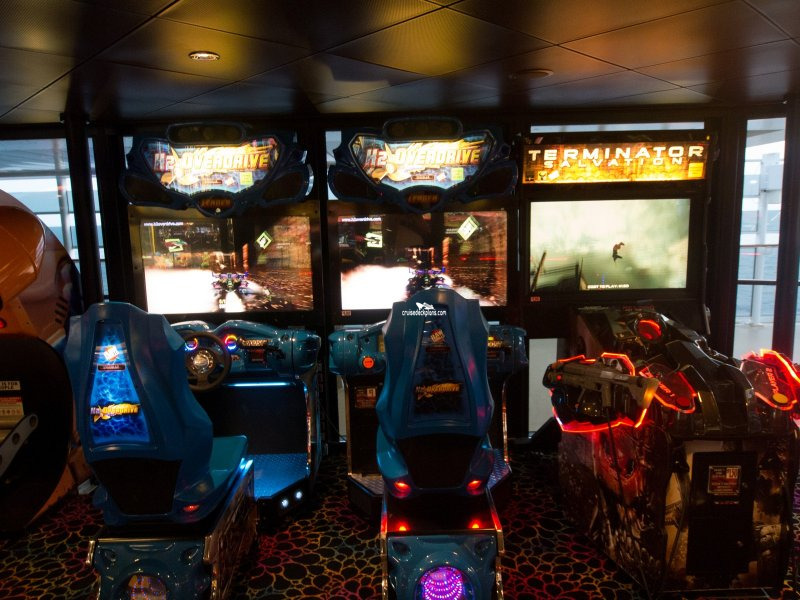 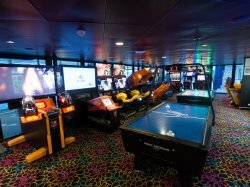 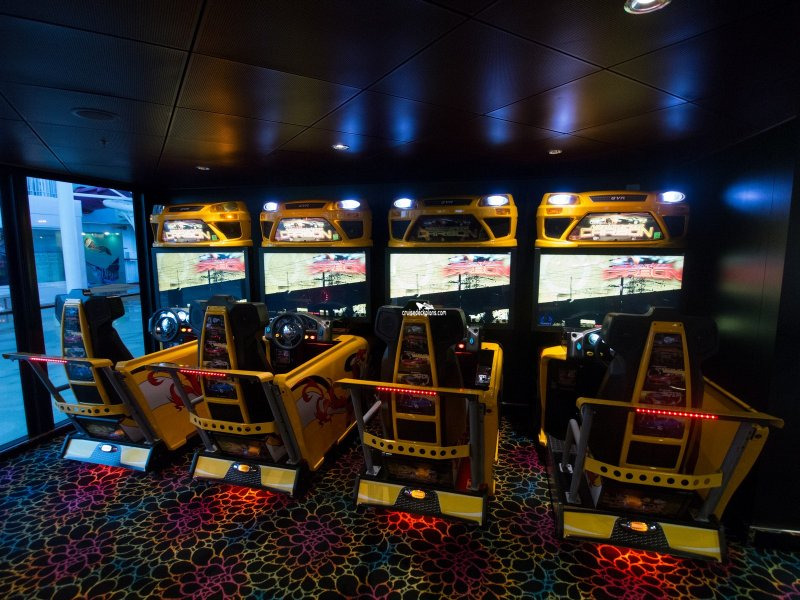 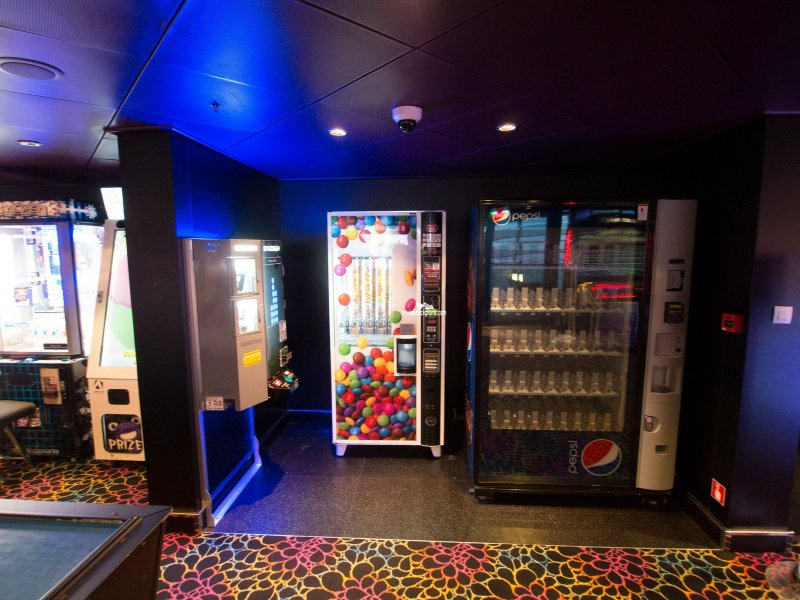 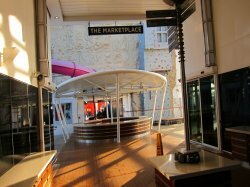 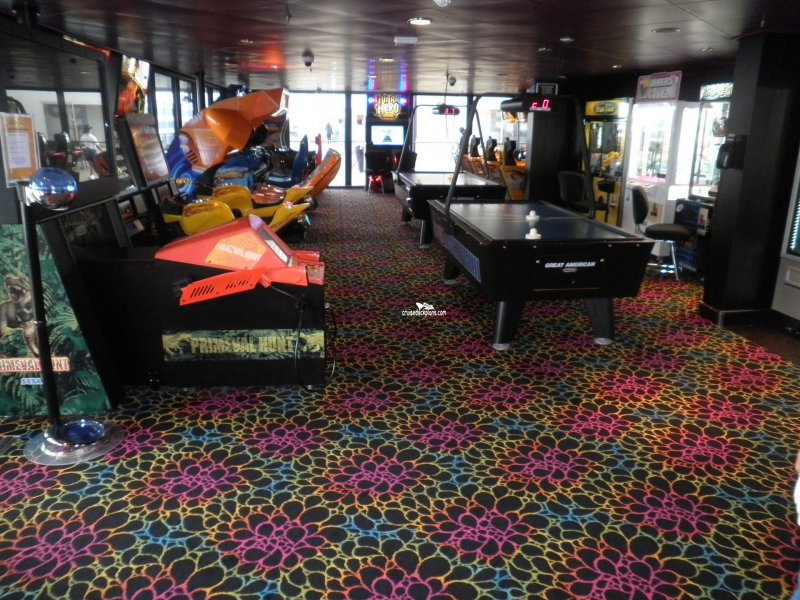 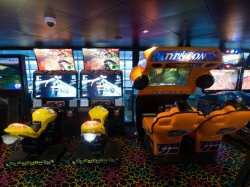 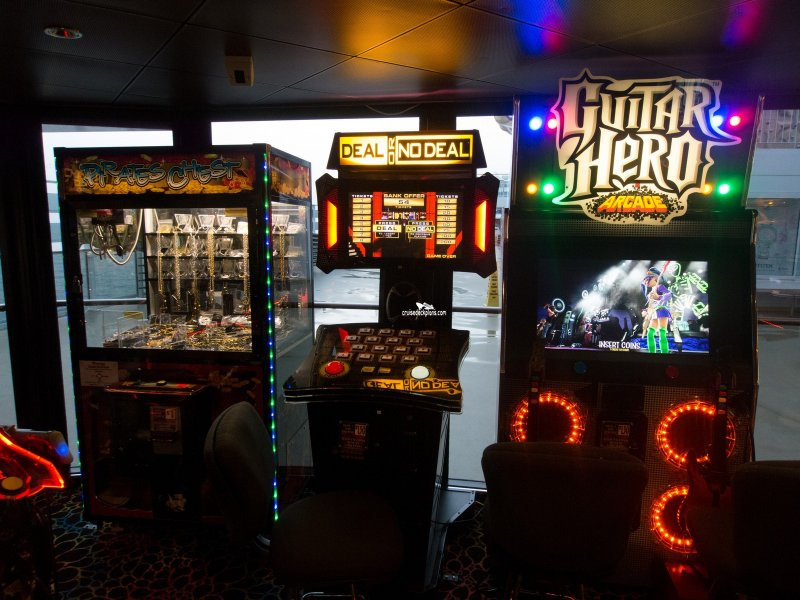 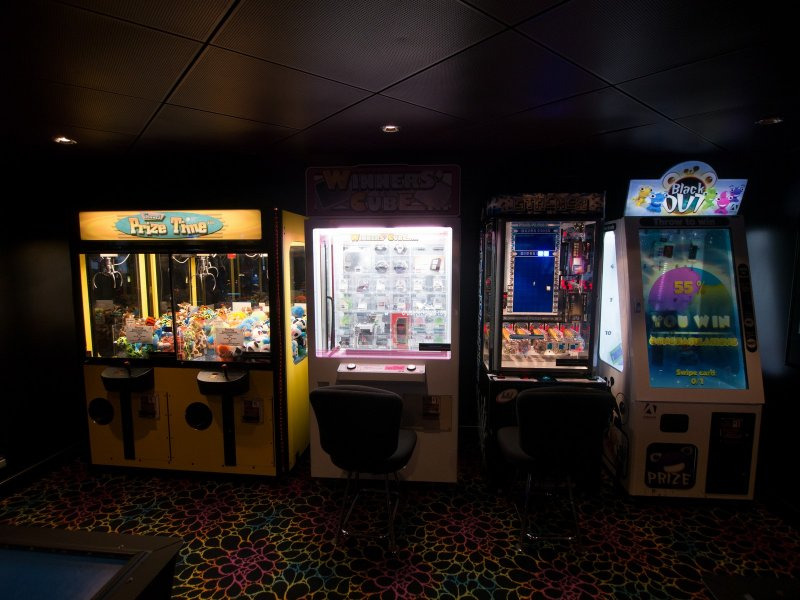 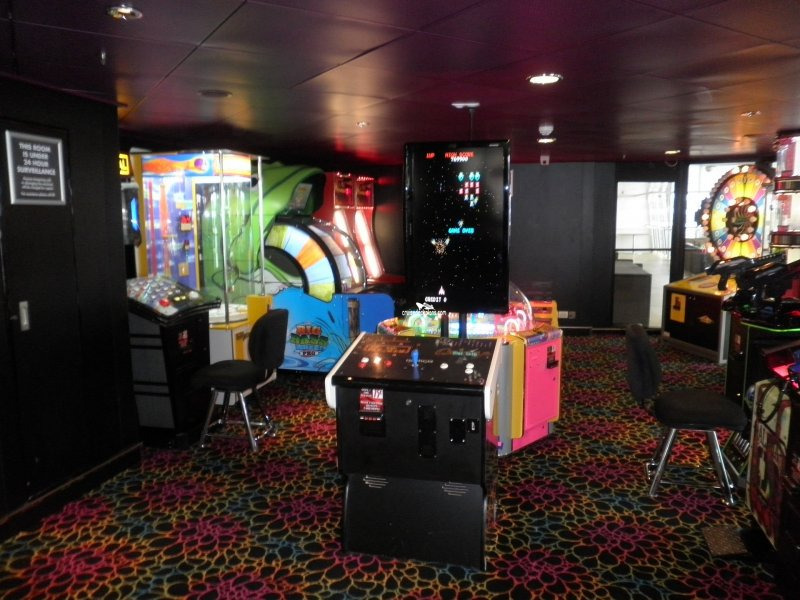 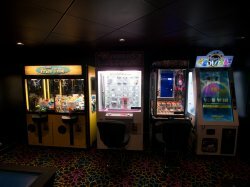 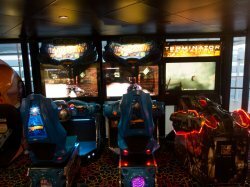 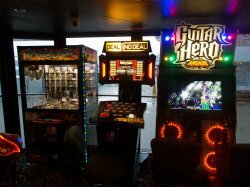 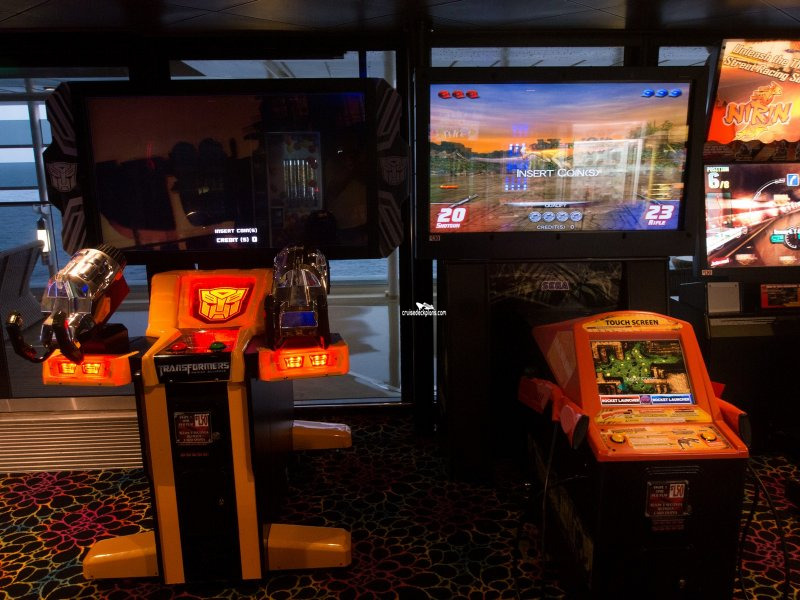 Features a range of entertainment from racing and shooting games to air hockey and grab machines. 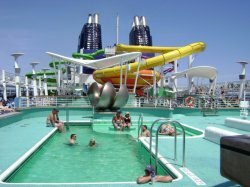 Pool area with two swimming pools (one for adults only) and multiple hot tubs. 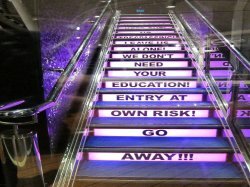 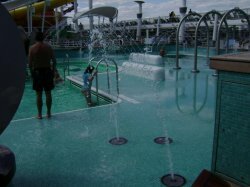 Near Kids Aqua Park. 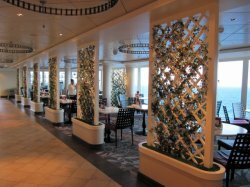 Outside tables for Garden Cafe. 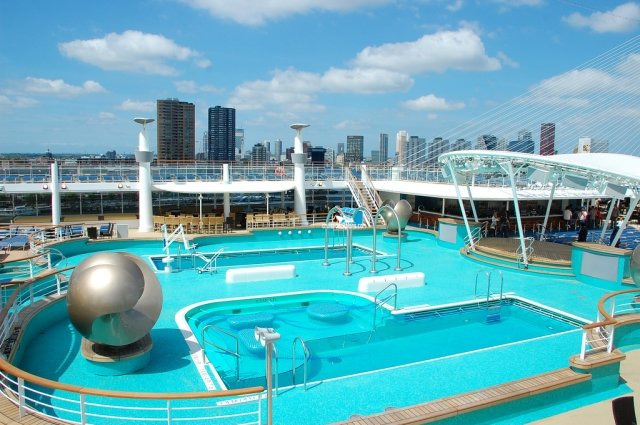 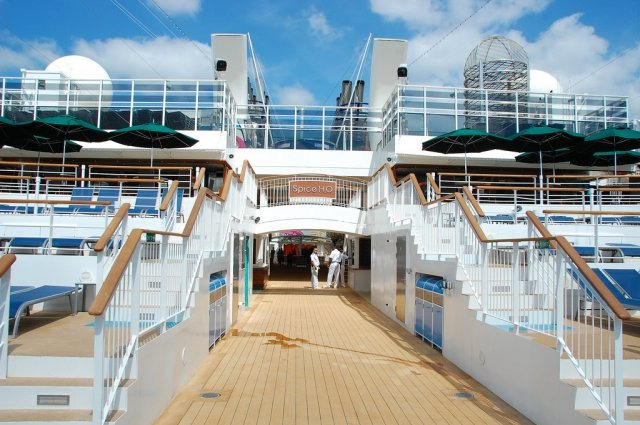 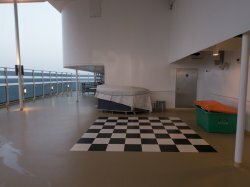 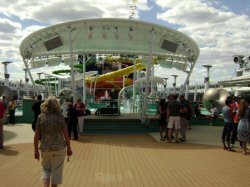 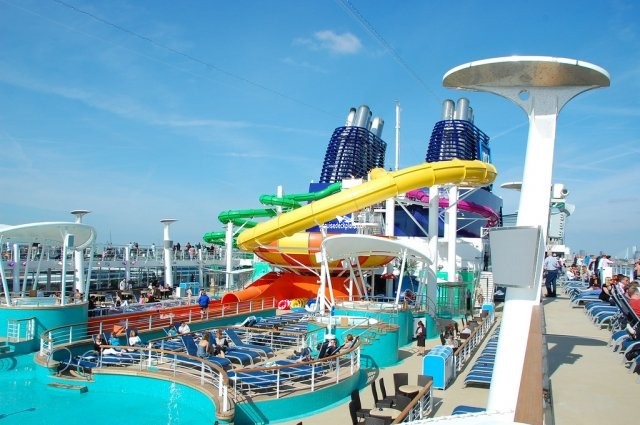 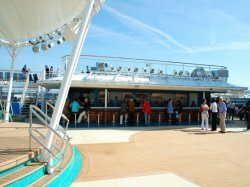 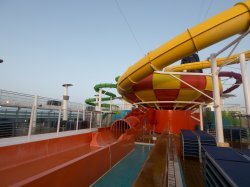 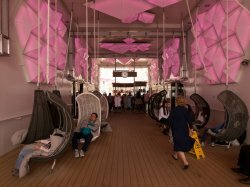 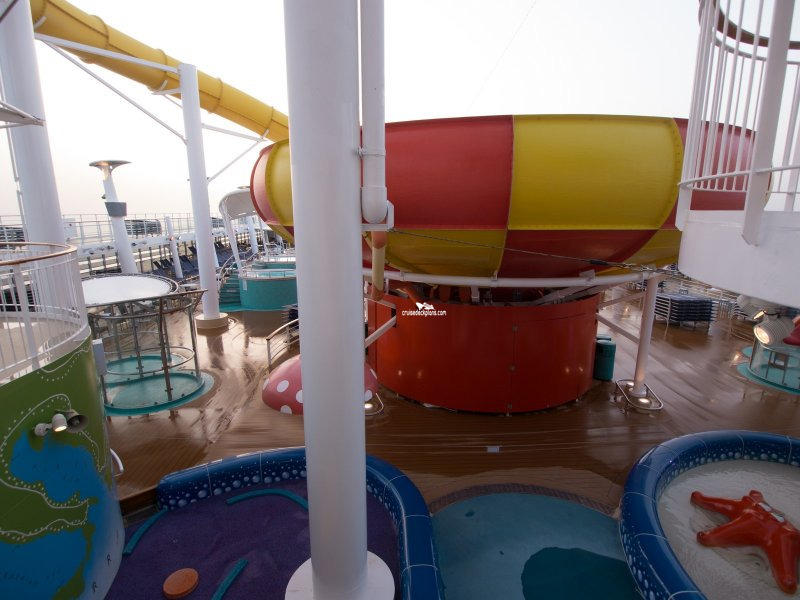 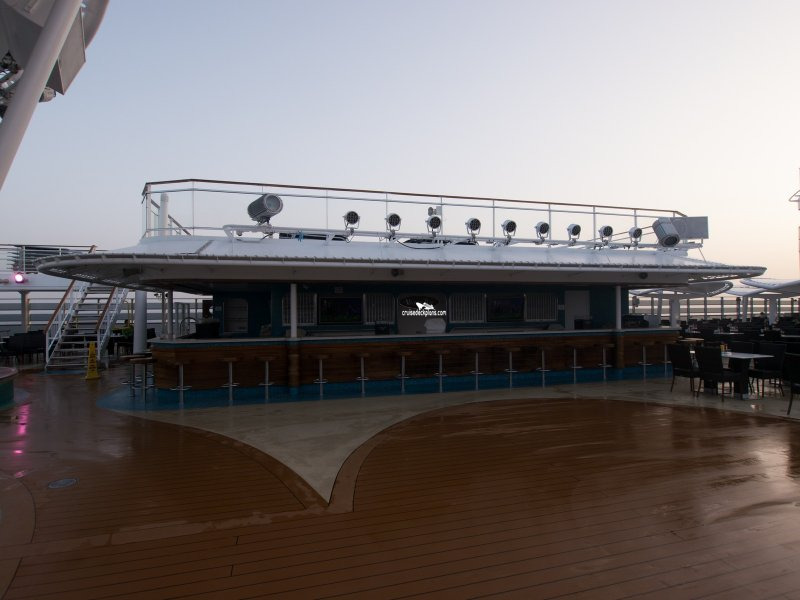 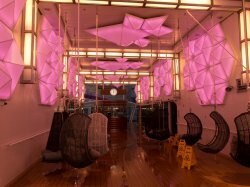 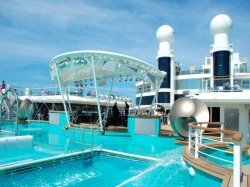 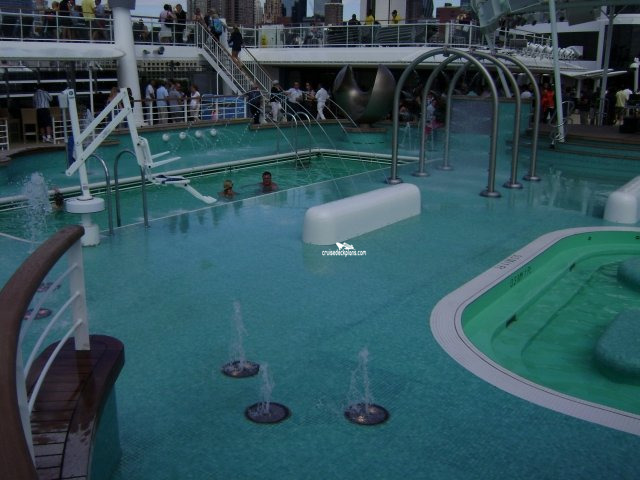 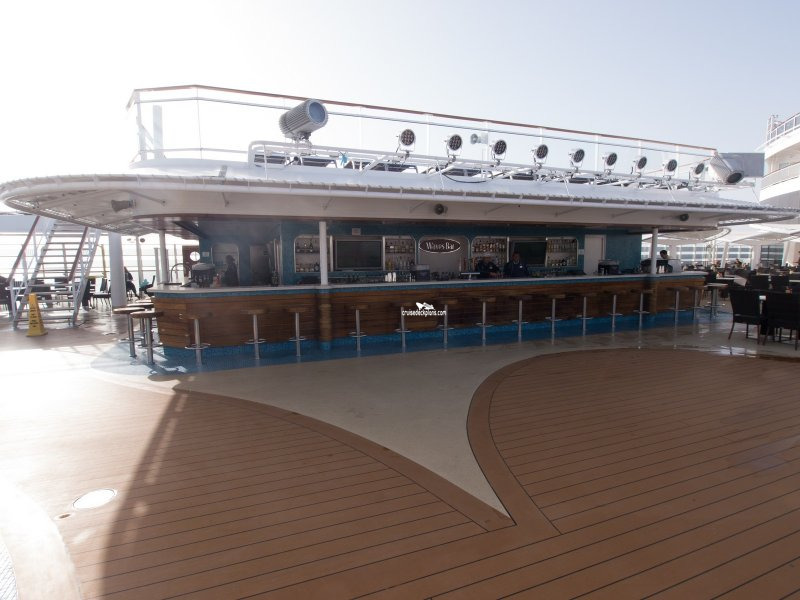 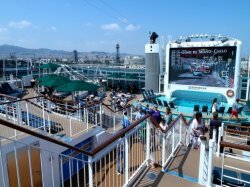 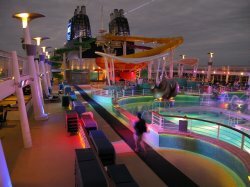 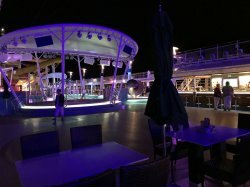 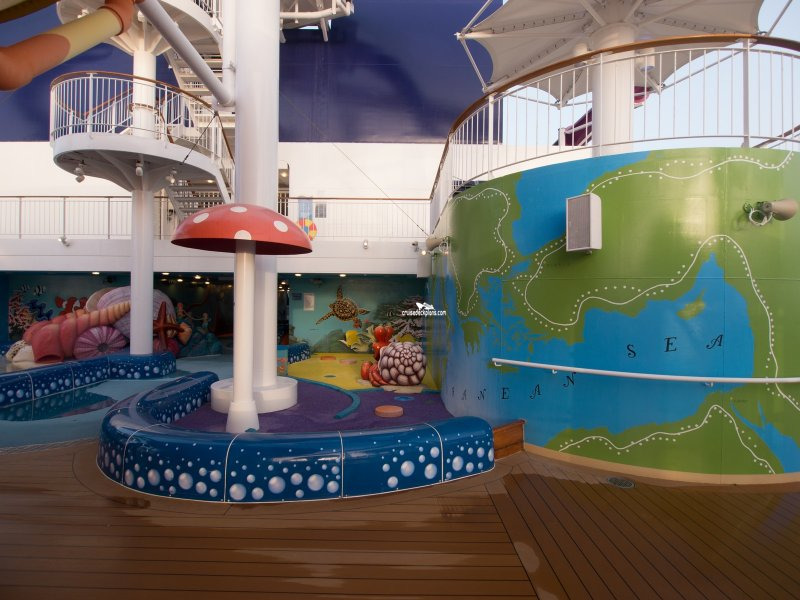 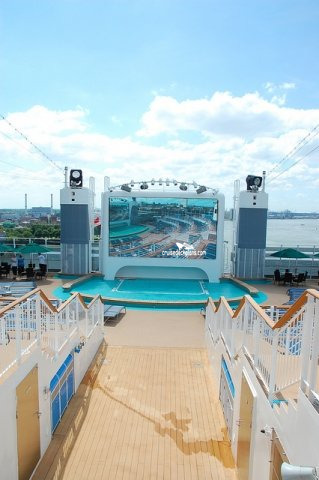 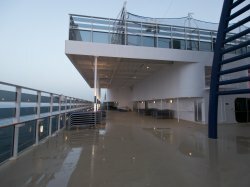 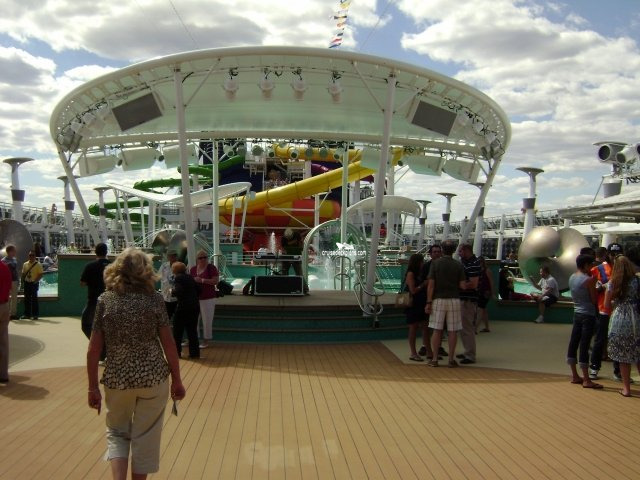 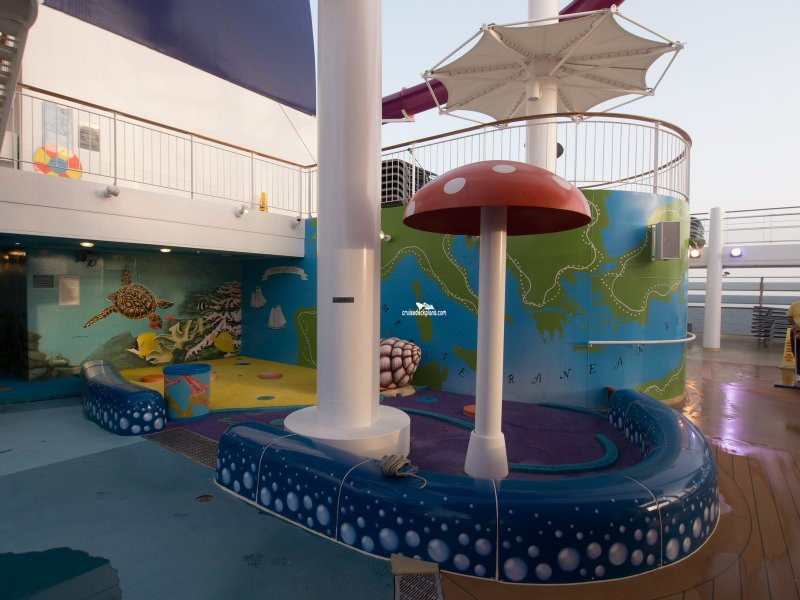 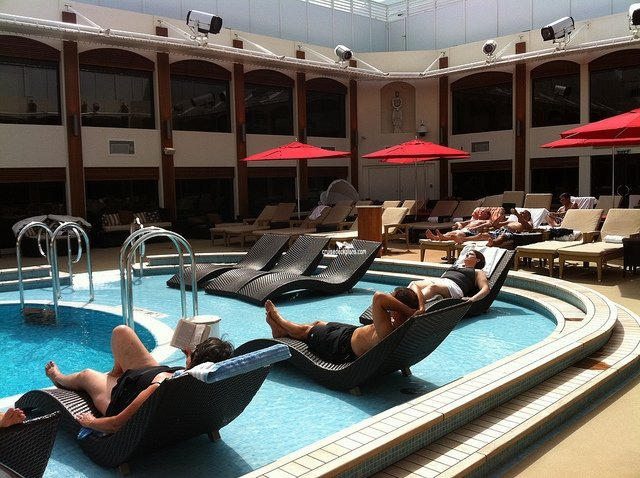 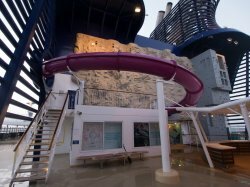 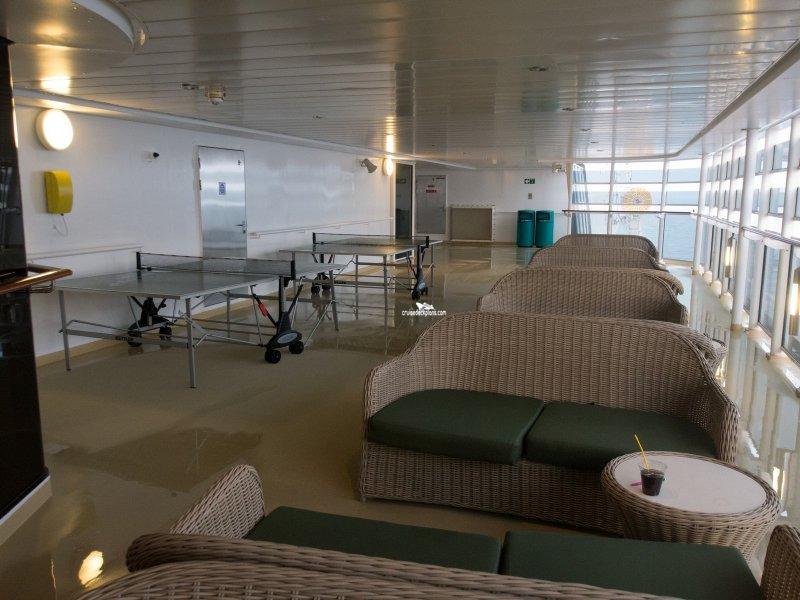 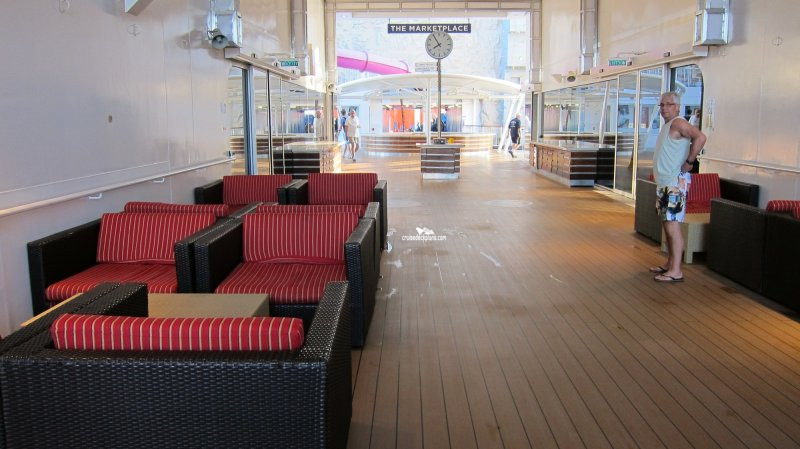 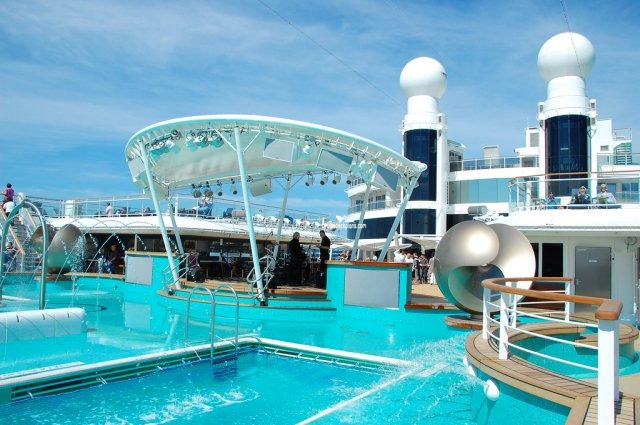 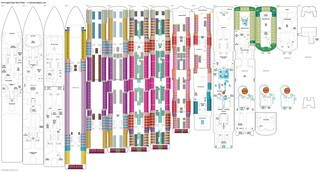 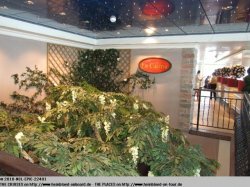 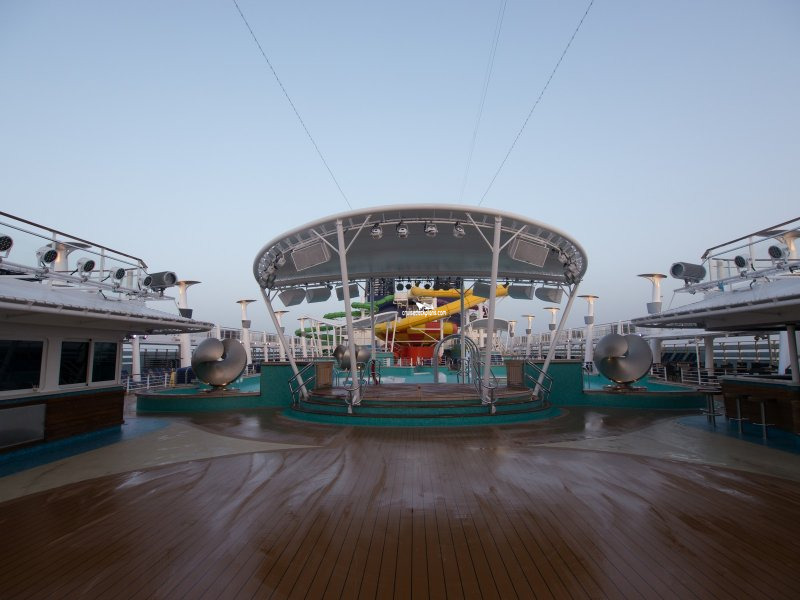 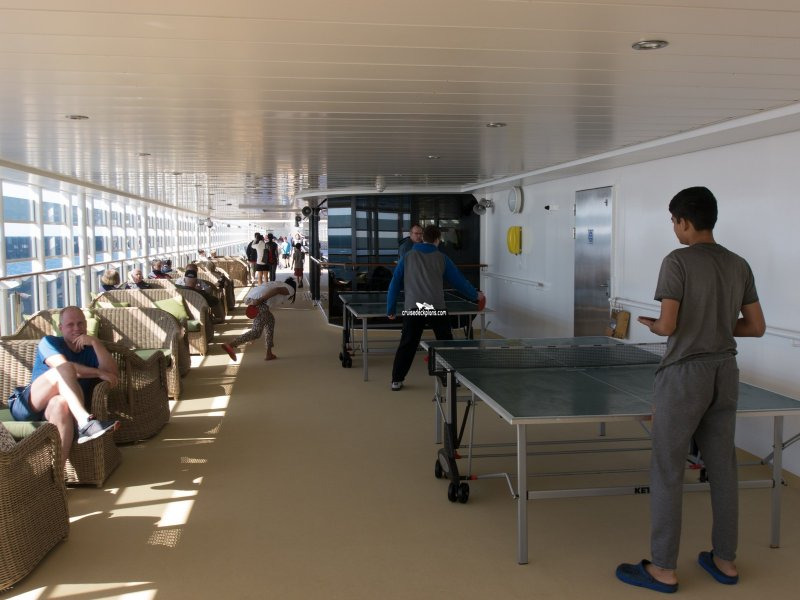 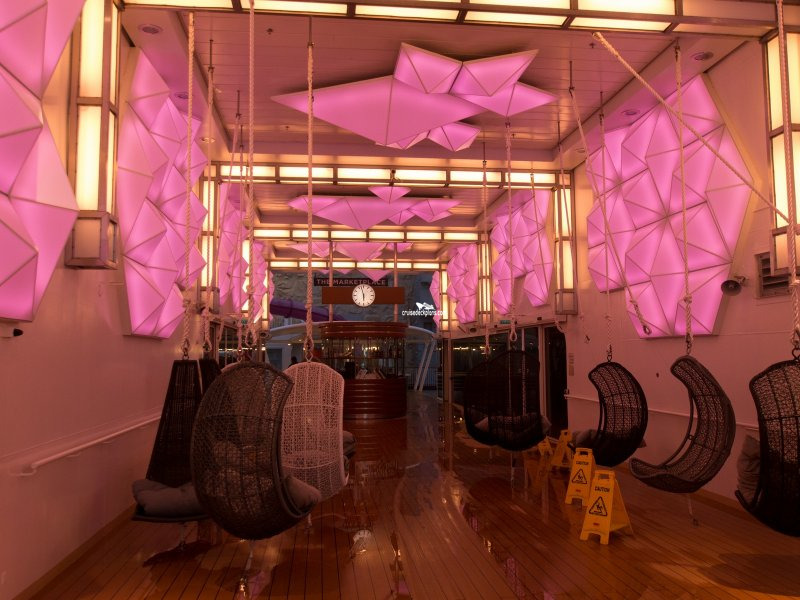 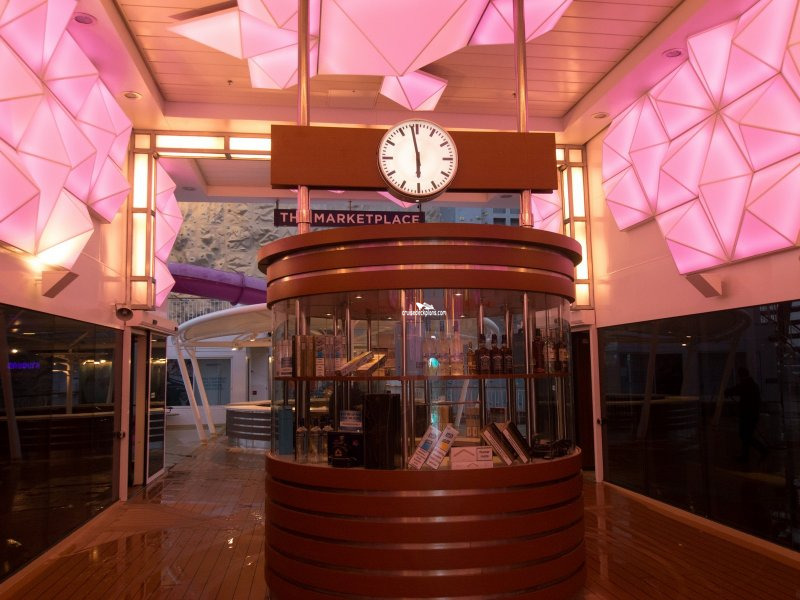 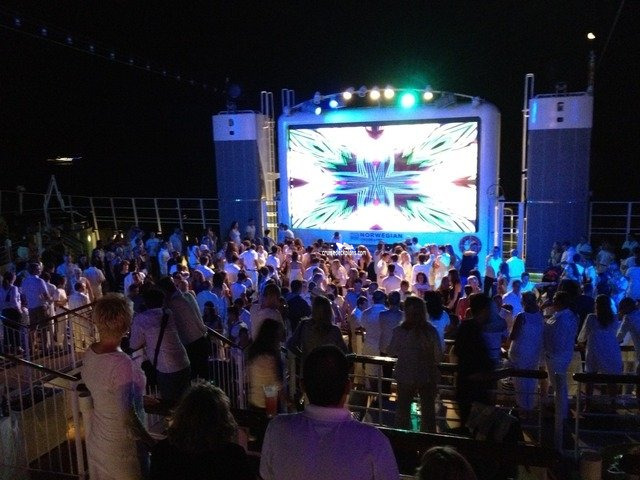 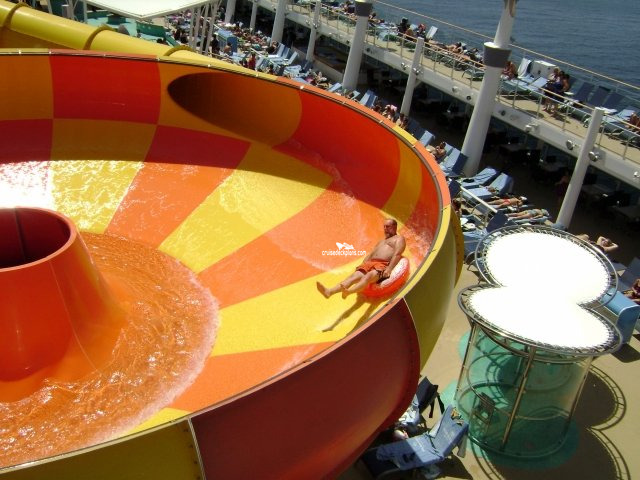 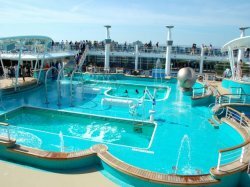 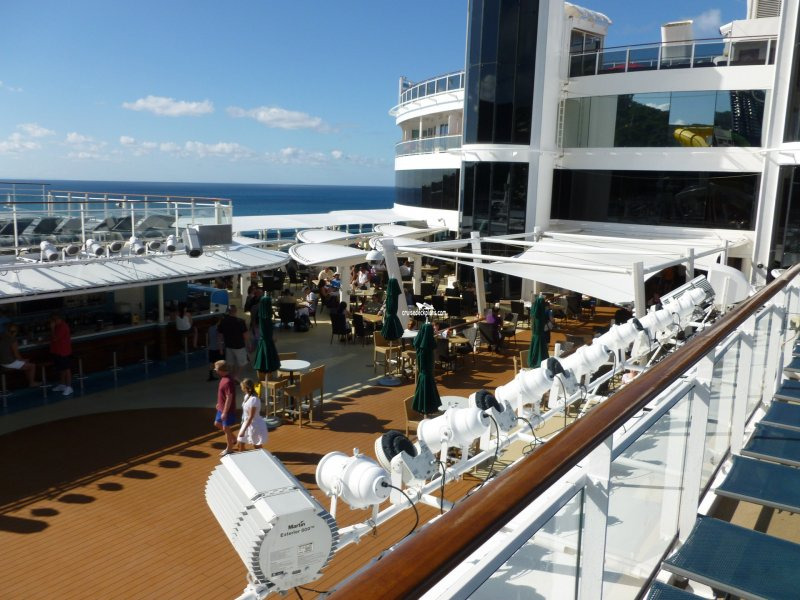 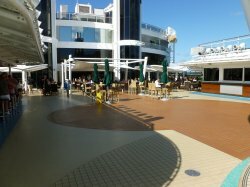 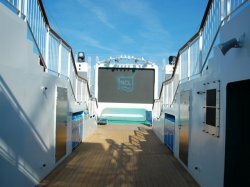 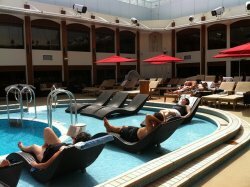 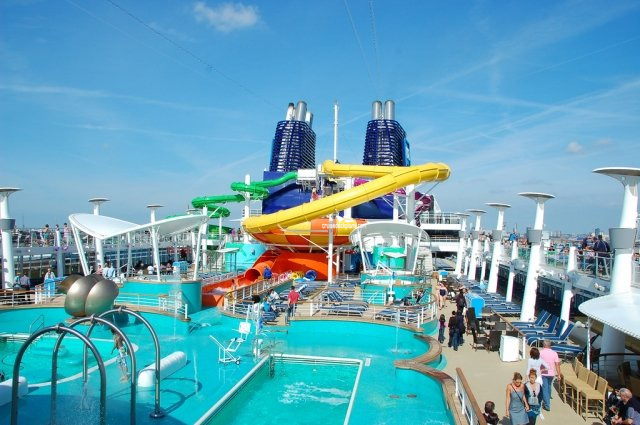 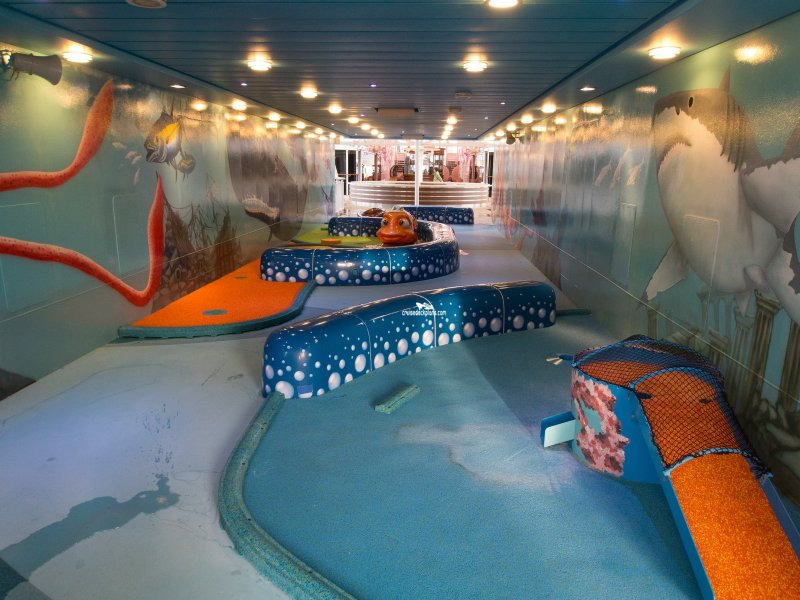 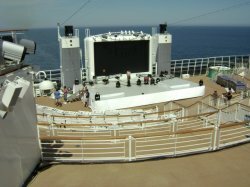 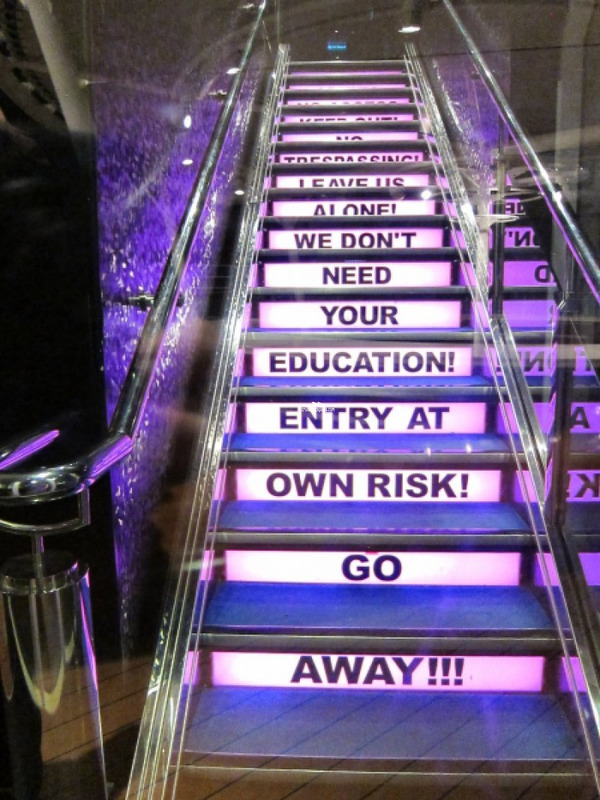 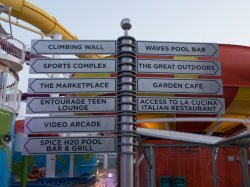 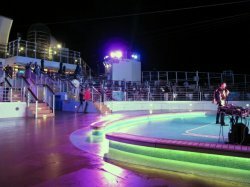 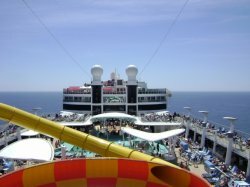 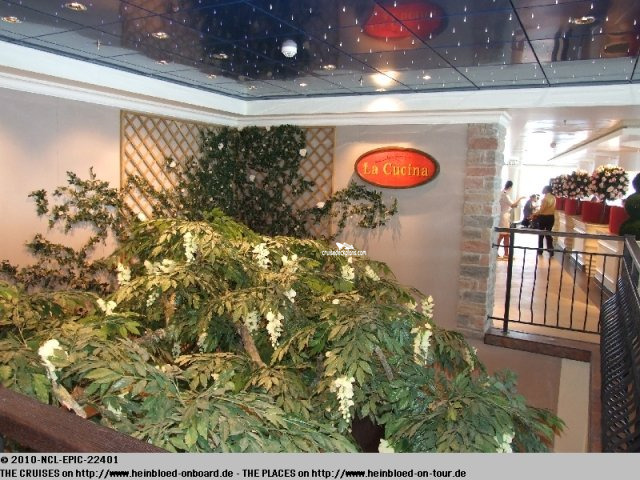 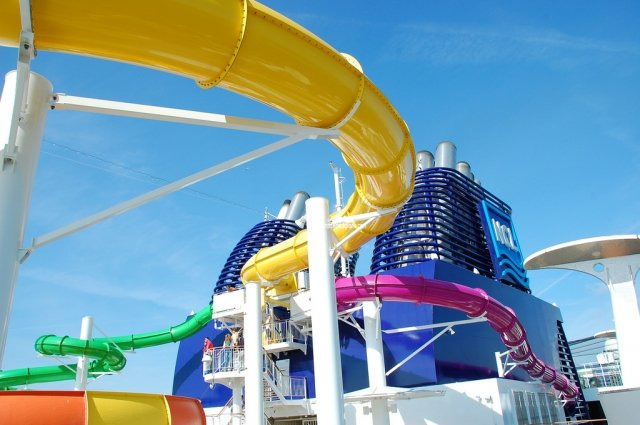 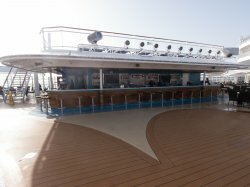 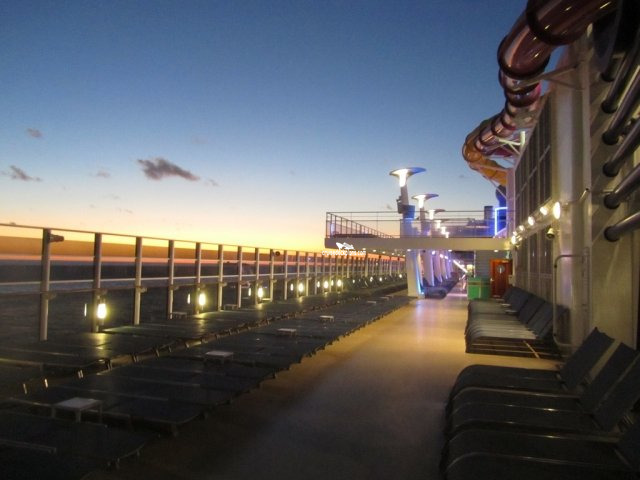 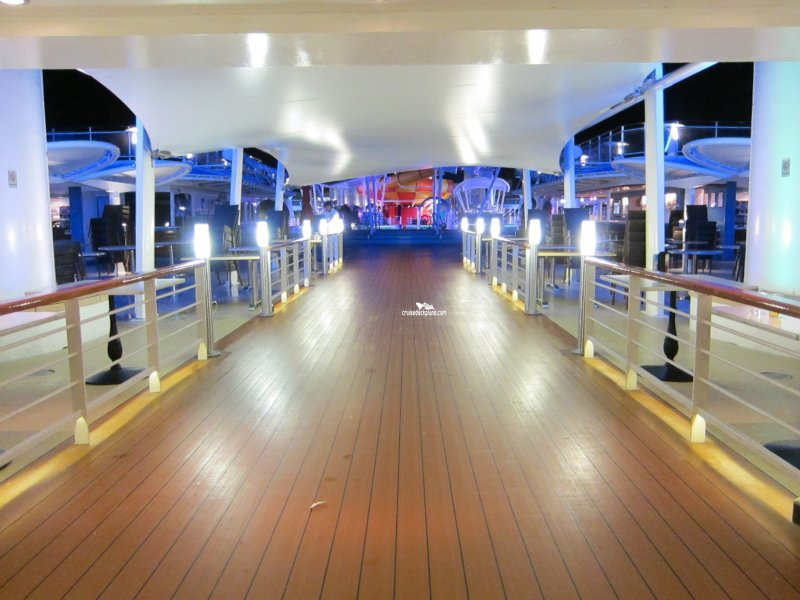 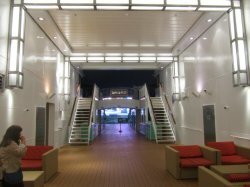 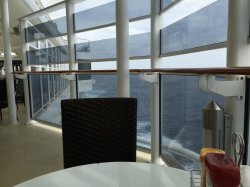 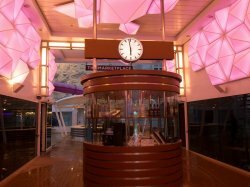 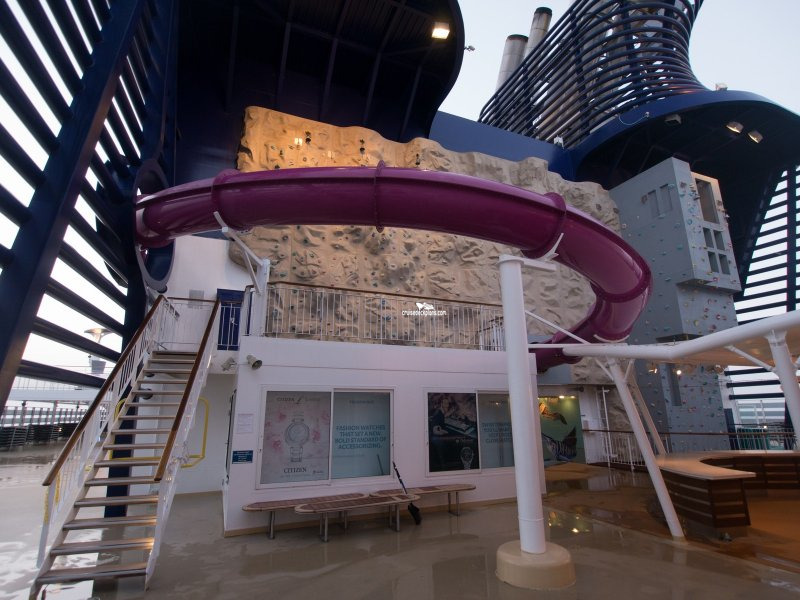 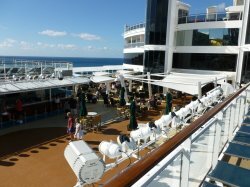 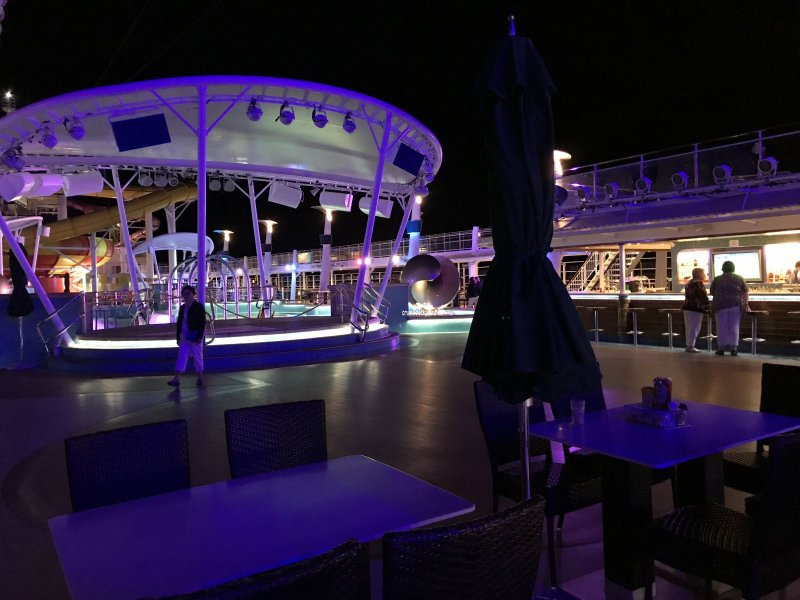 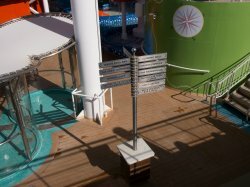 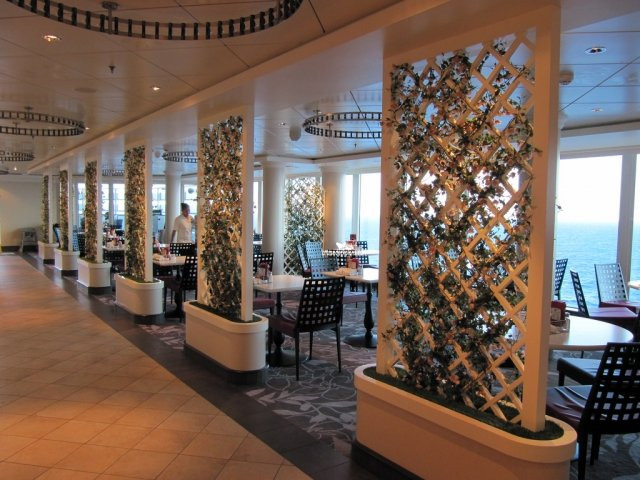 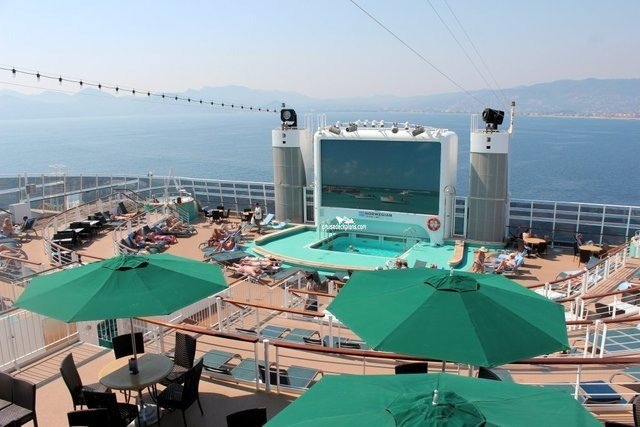 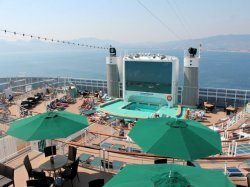 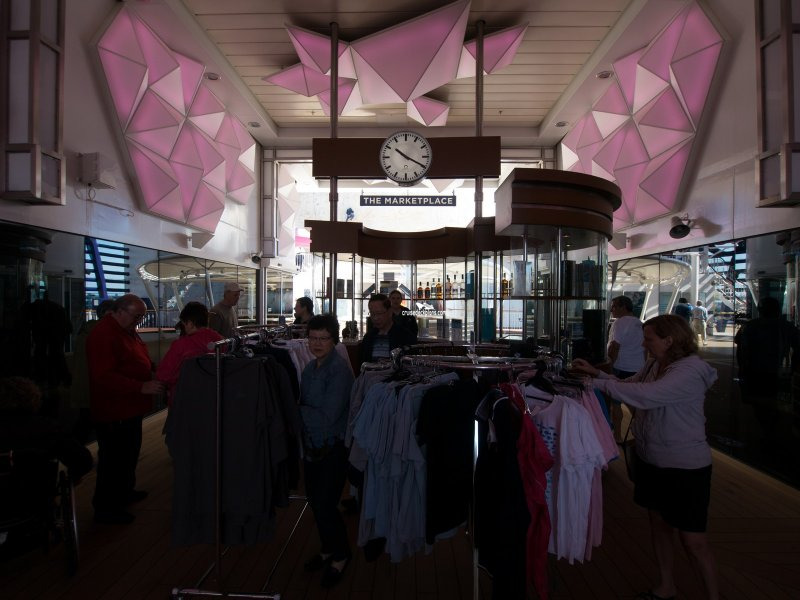 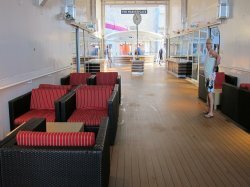 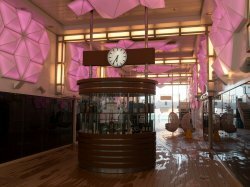 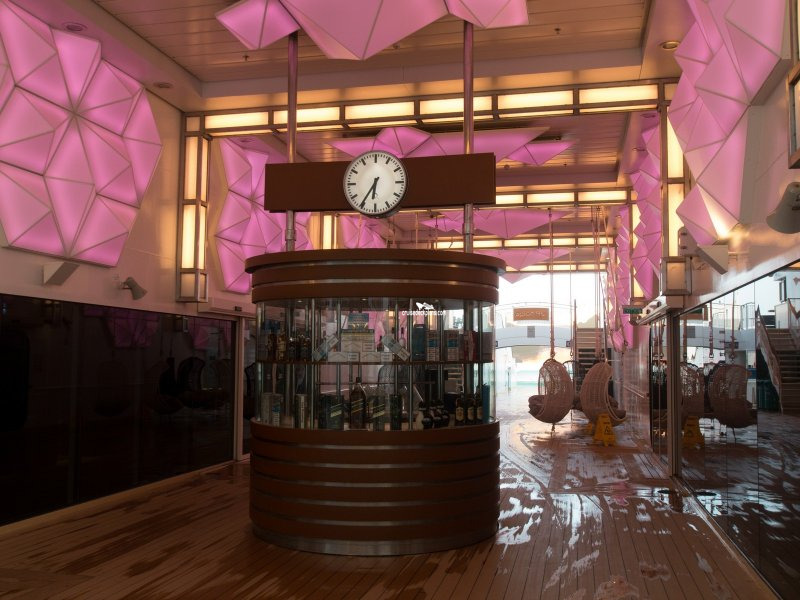 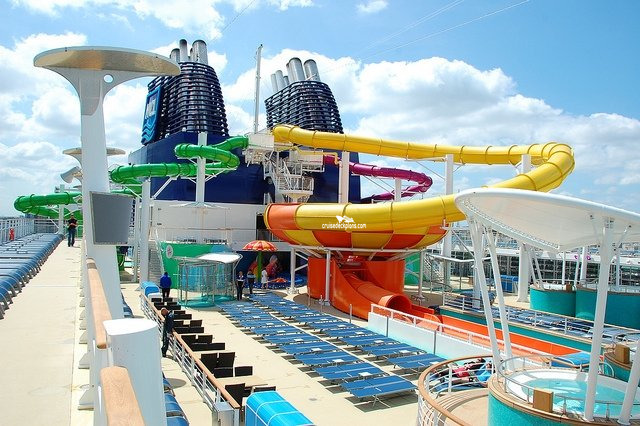 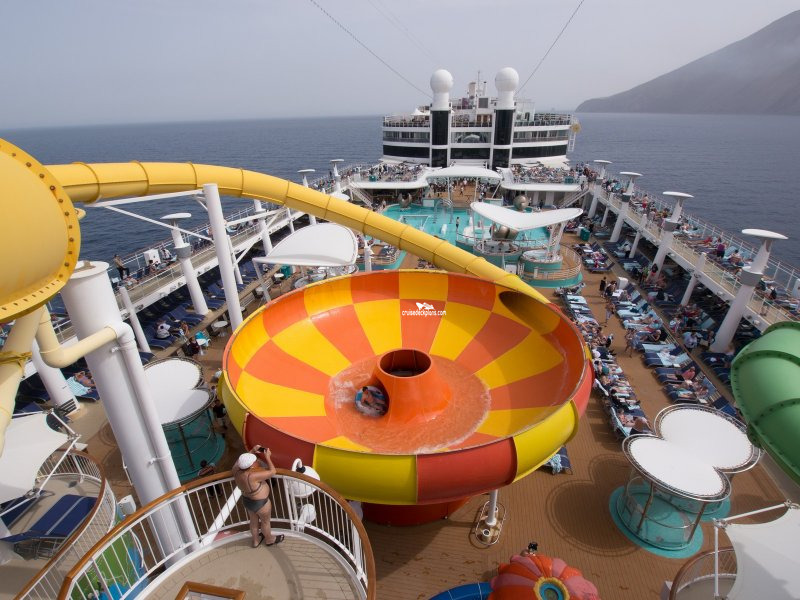 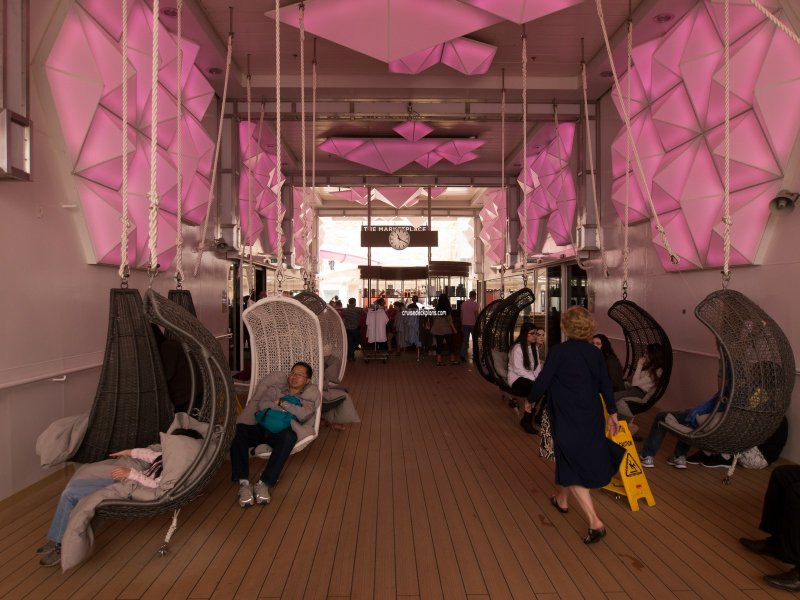 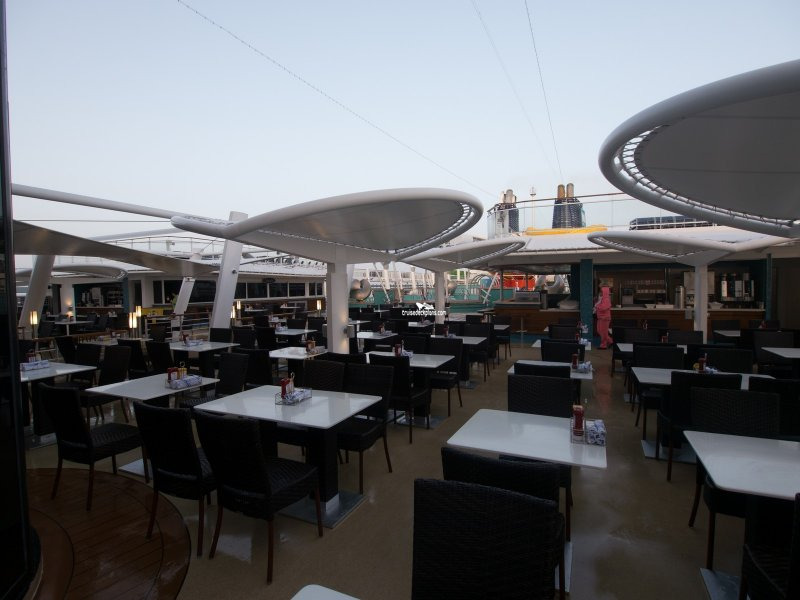 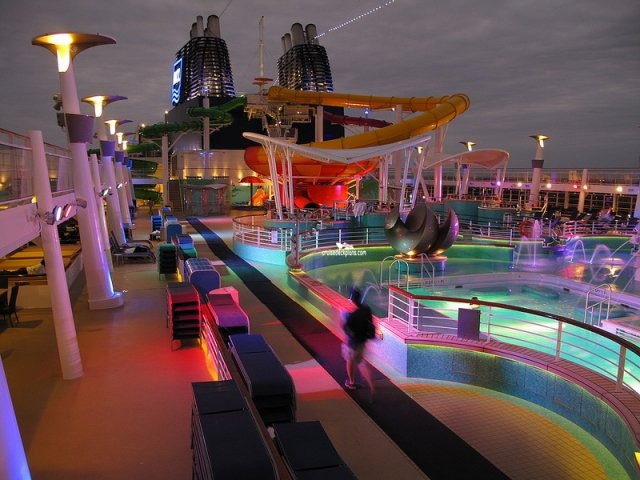 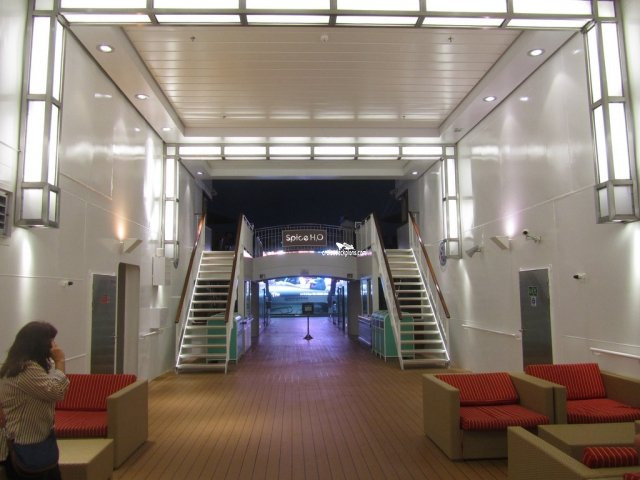 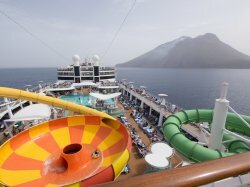 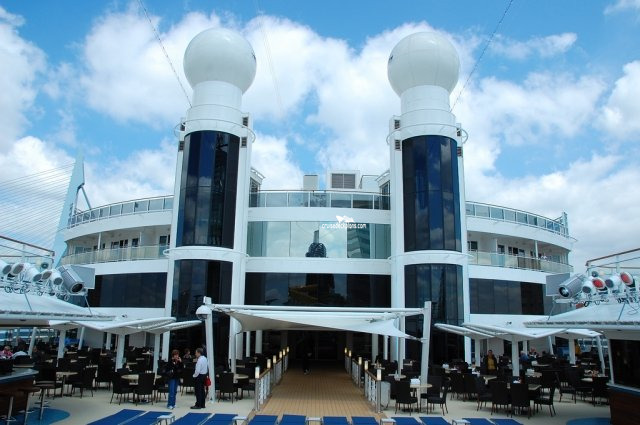 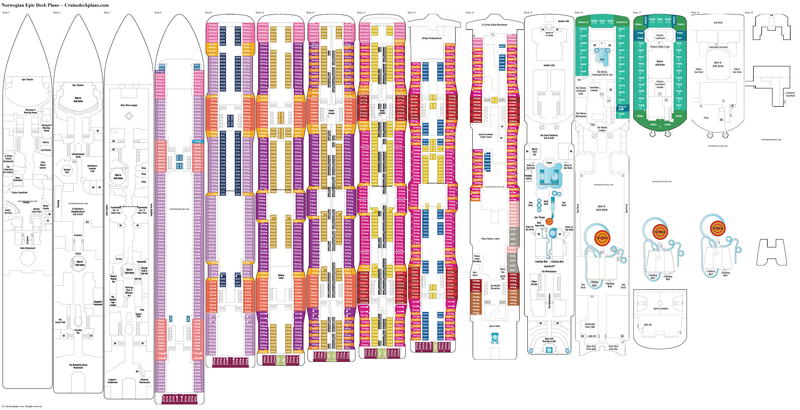 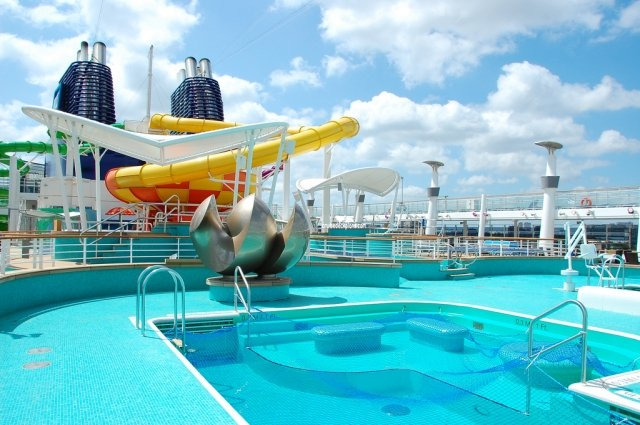 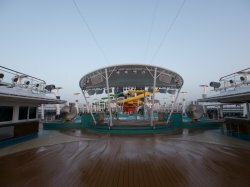 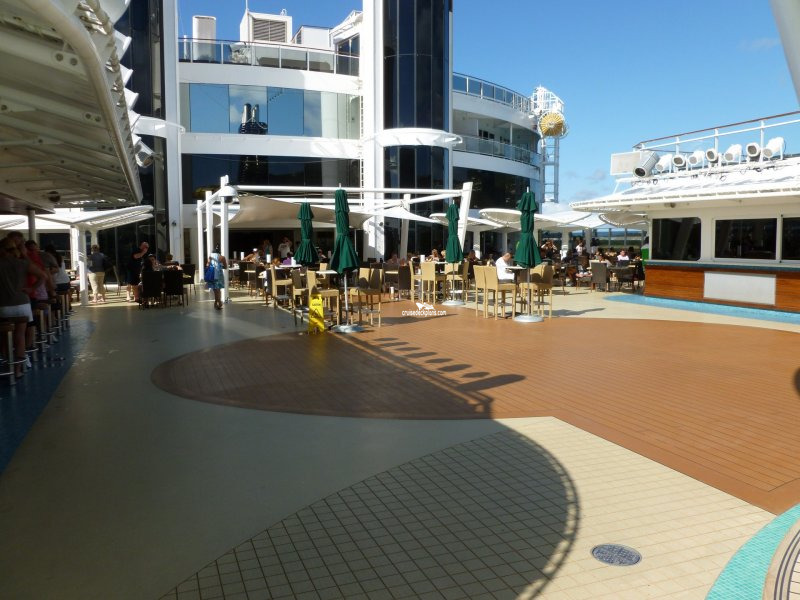 Deck 15 has various places to lounge. 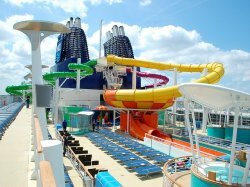 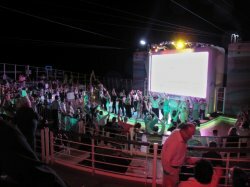 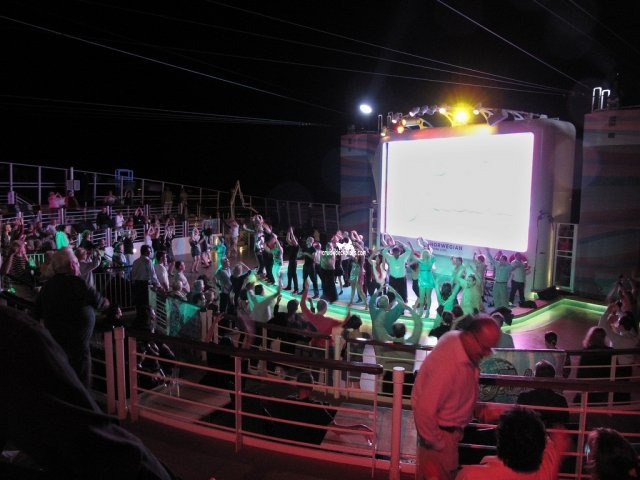 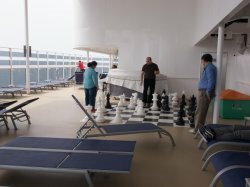 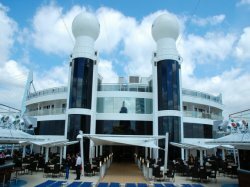 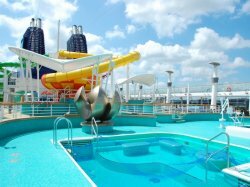 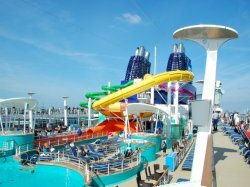 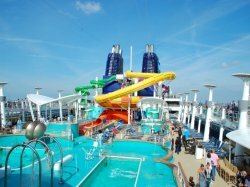 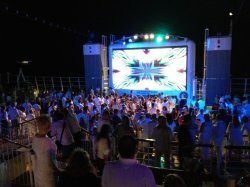 You will also find deck games and other activities.